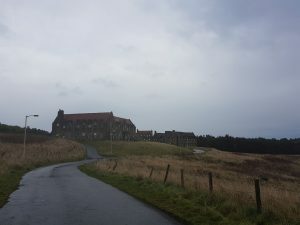 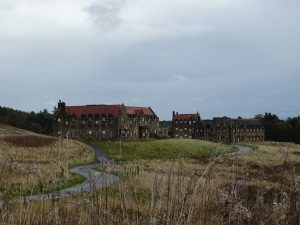 The hospital was modelled on the example of the Alt-Scherbitz asylum of the 1870s, at Schkeuditz, Germany, and represents one of the first village-plan psychiatric hospitals in Scotland. 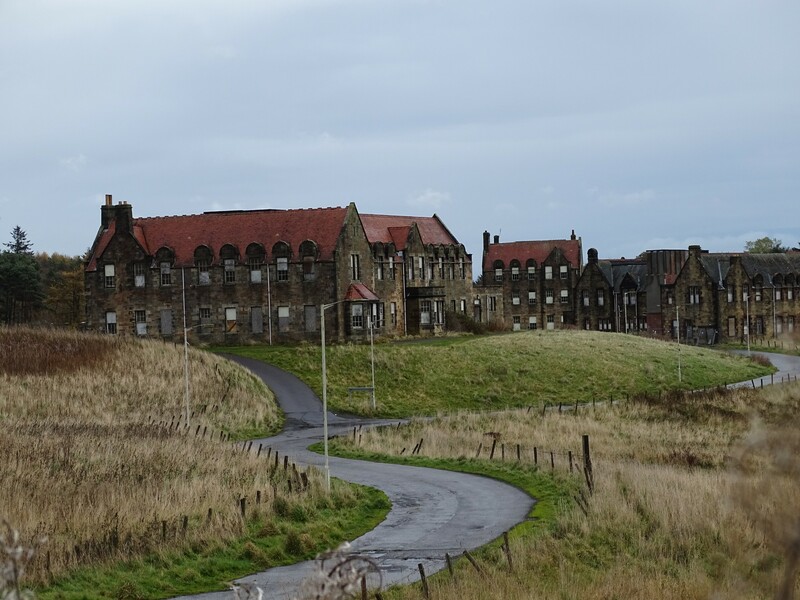 The Bangour institution comprised individual villas which would house approximately 30 patients each. 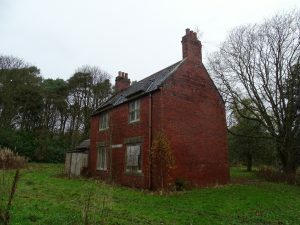 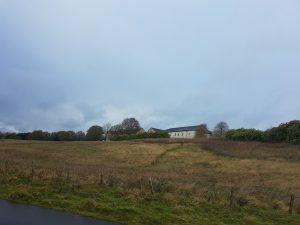 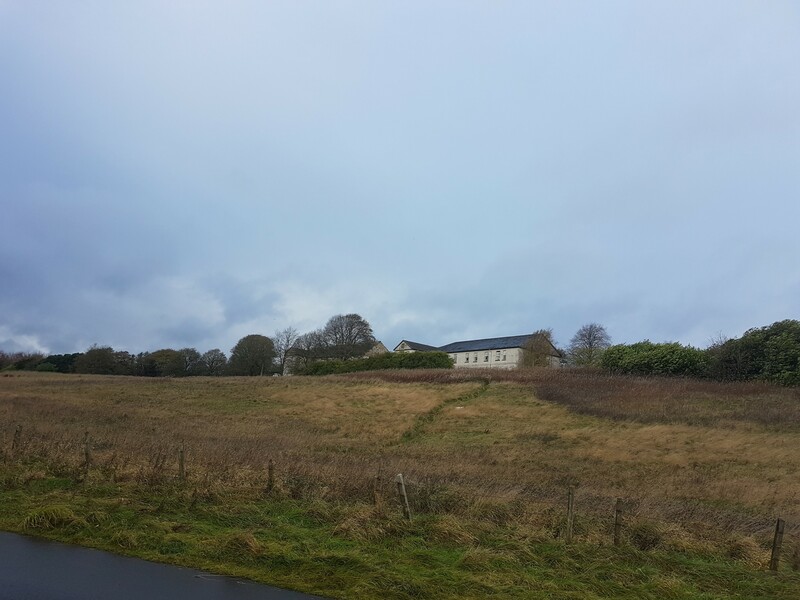 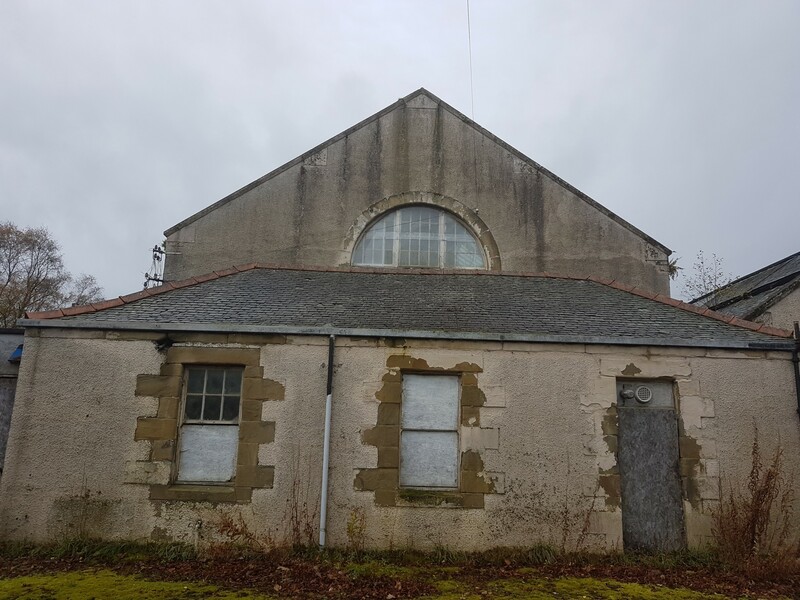 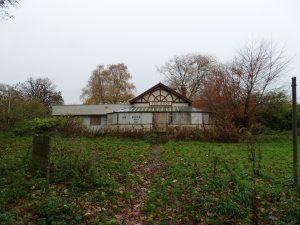 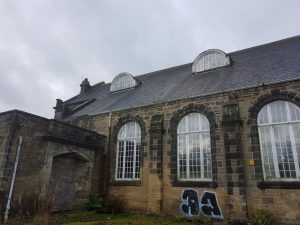 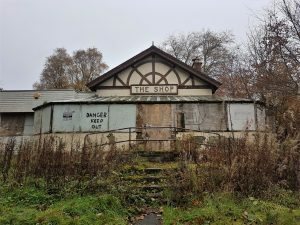 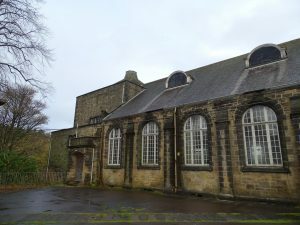 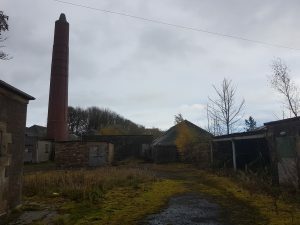 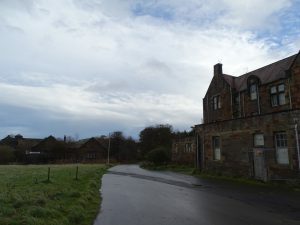 The village also incorporated its own railway connection, a farm, bakery, workshops, recreation hall, school, shop, library and, latterly, a multi-denominational church. 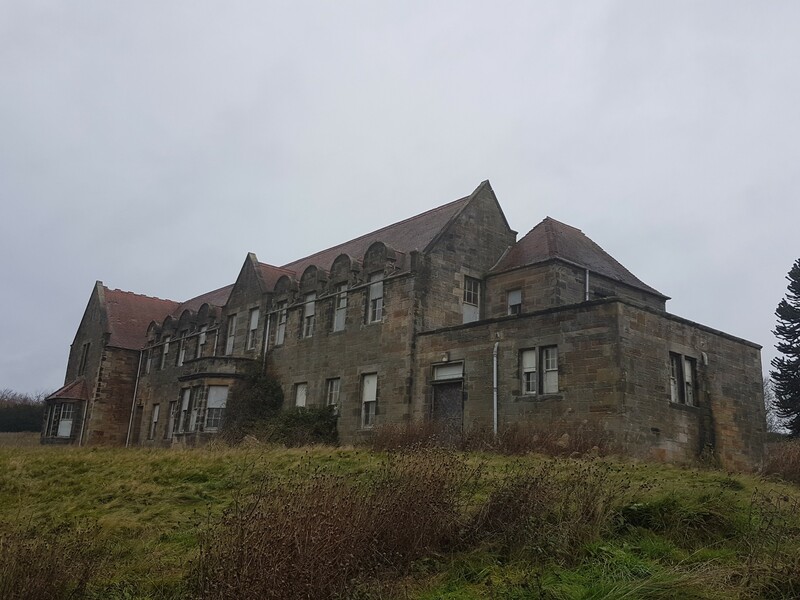 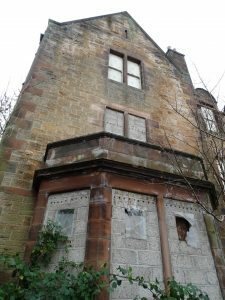 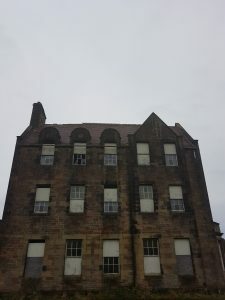 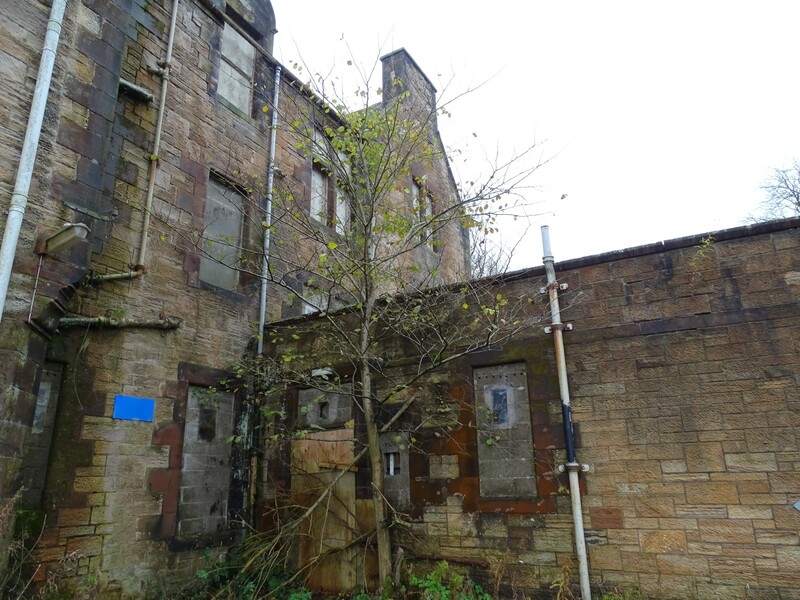 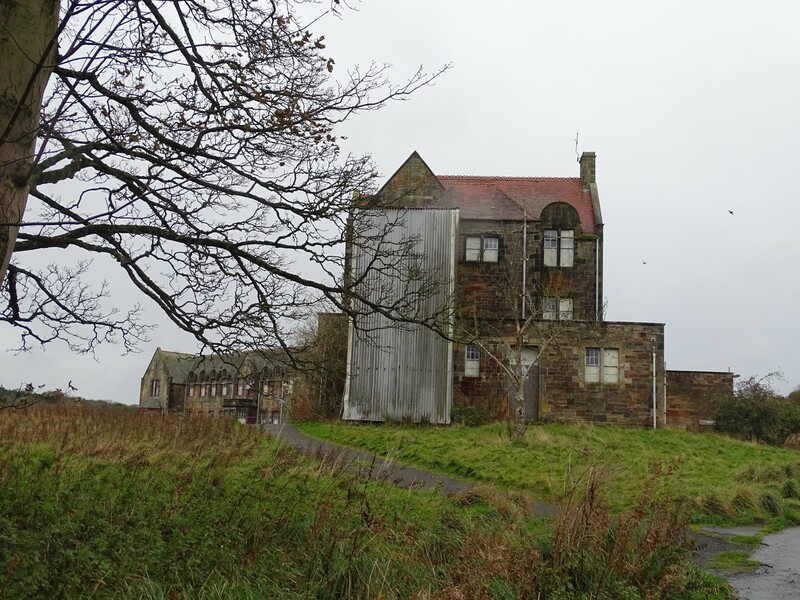 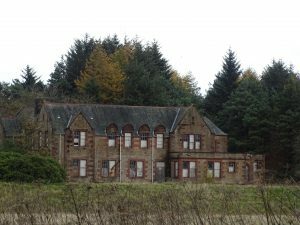 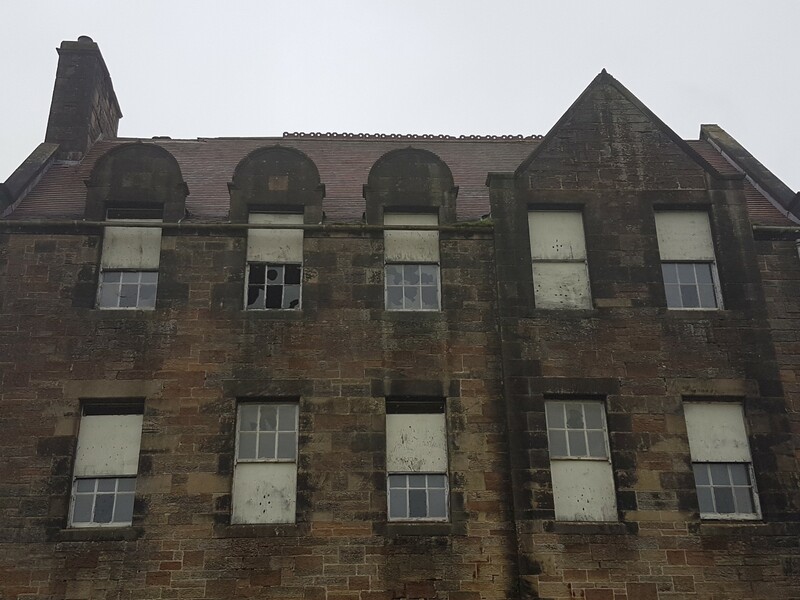 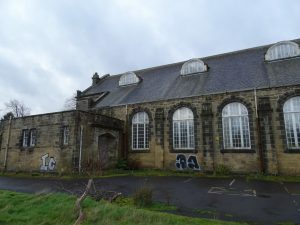 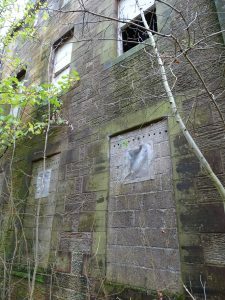 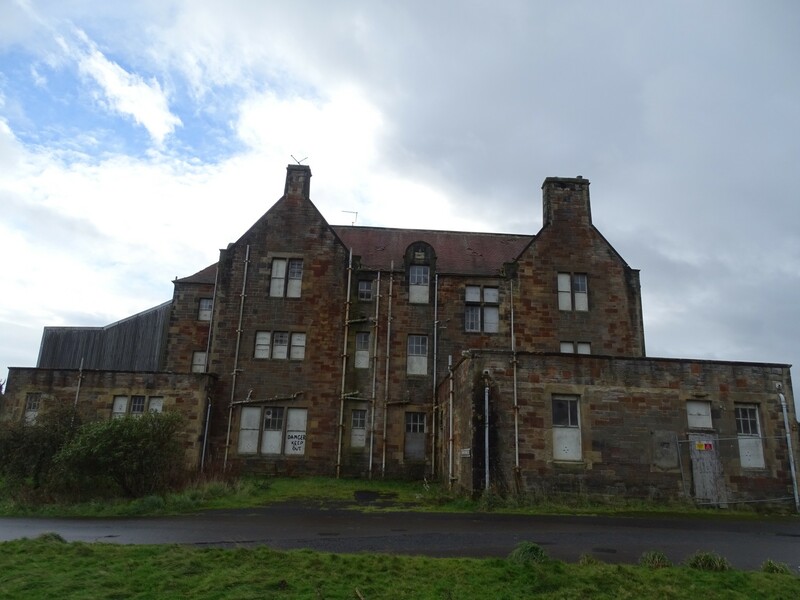 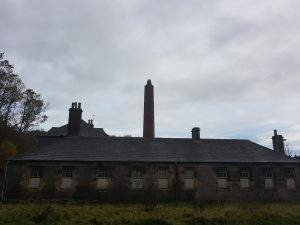 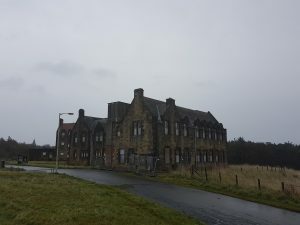 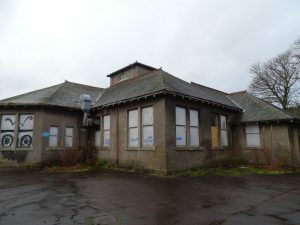 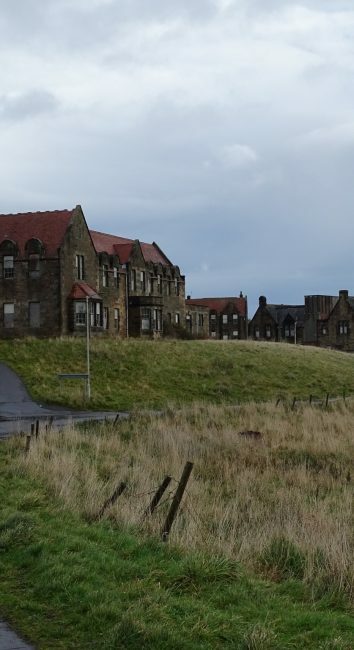 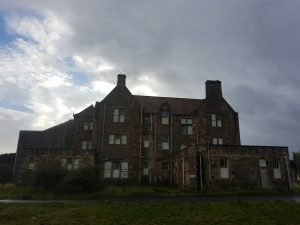 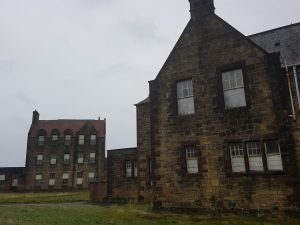 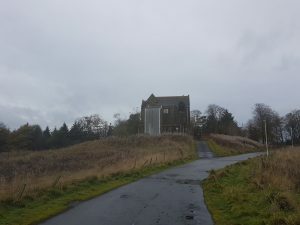 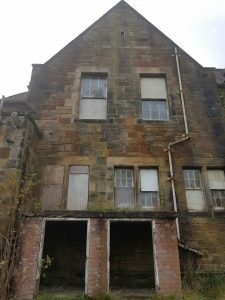 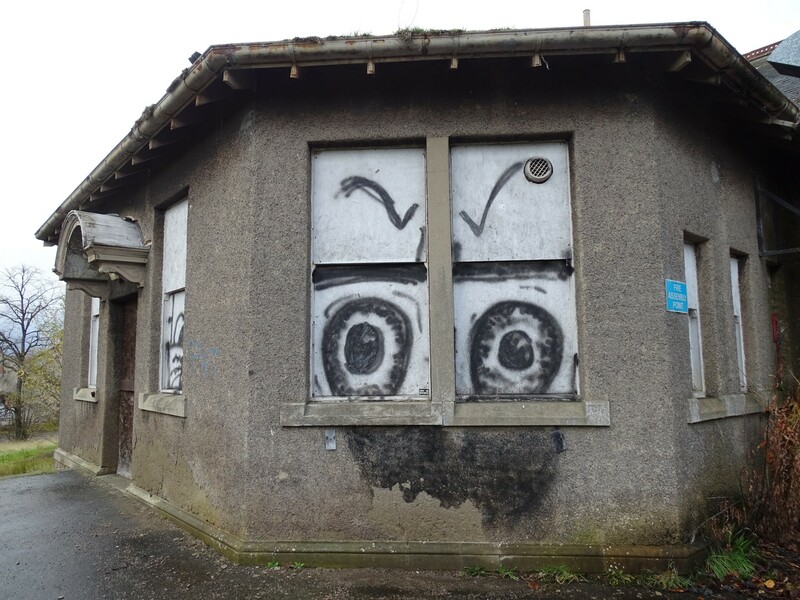 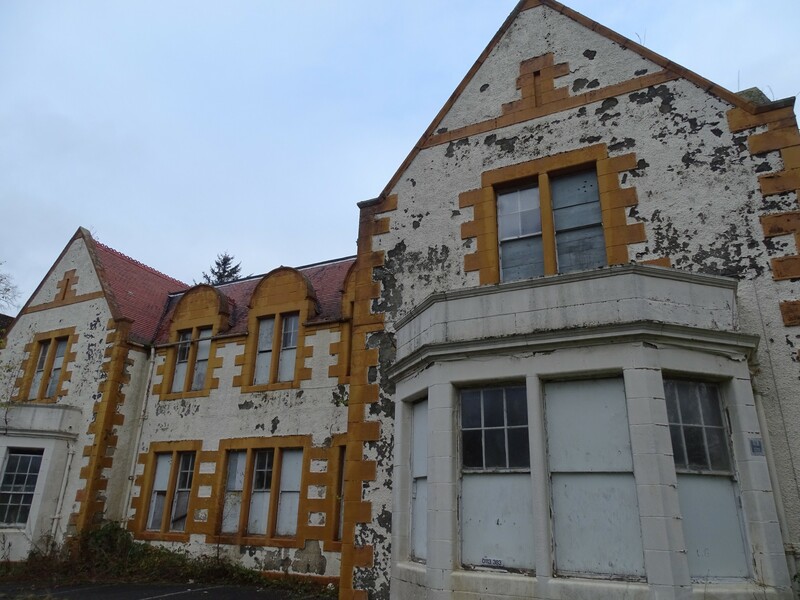 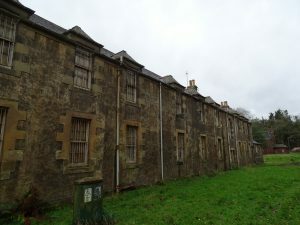 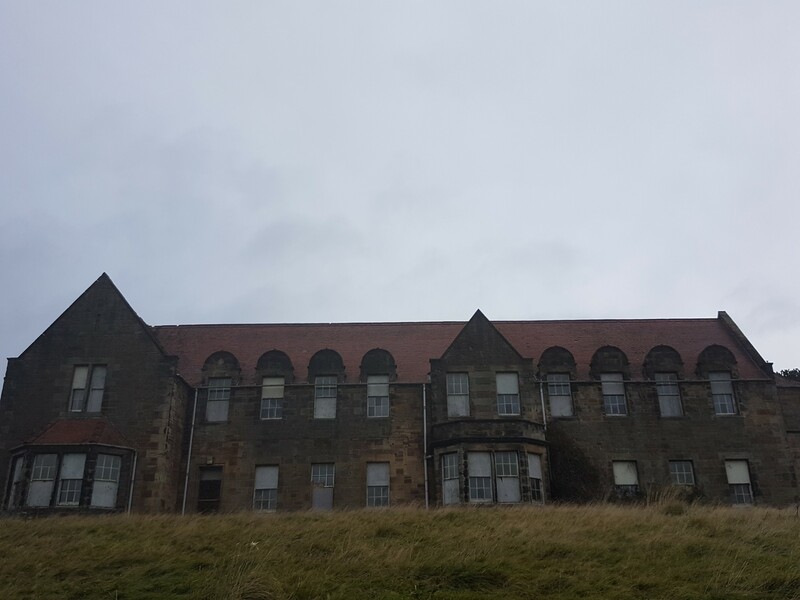 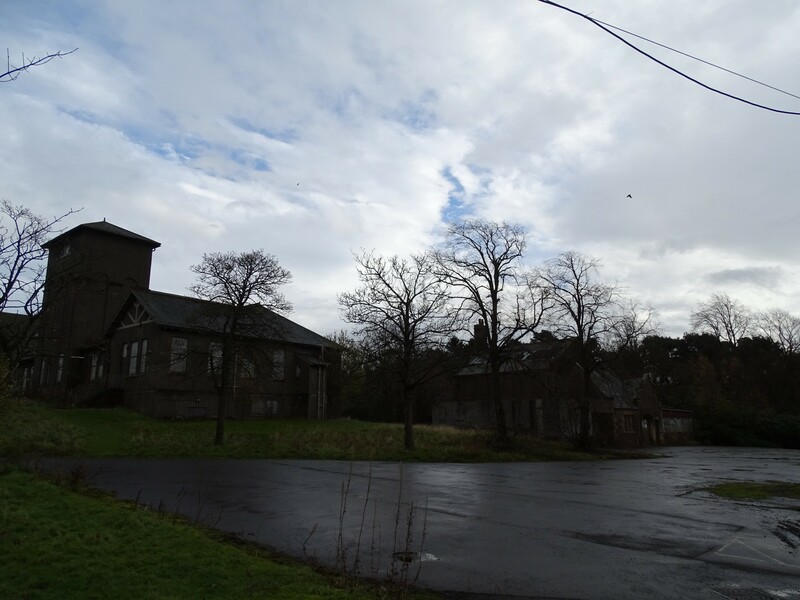 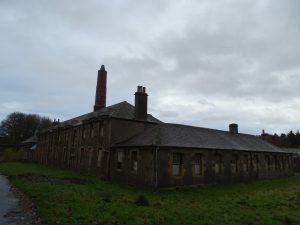 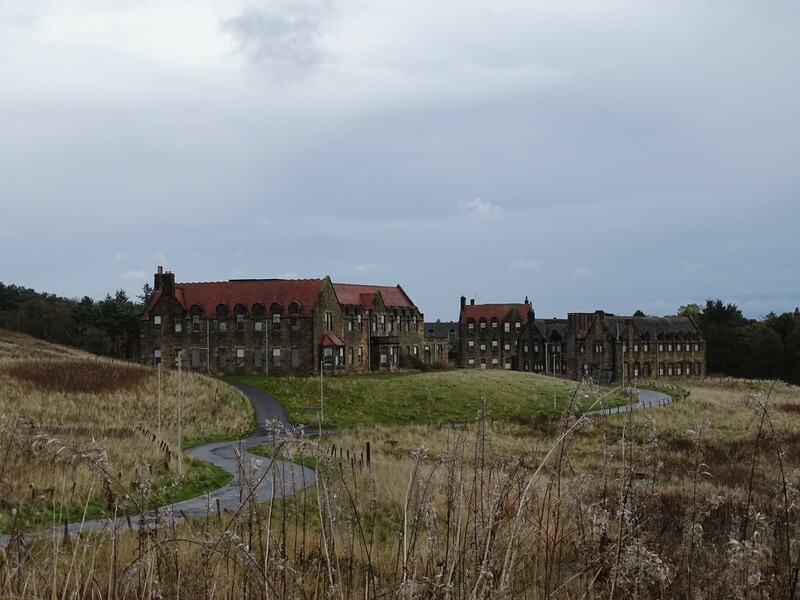 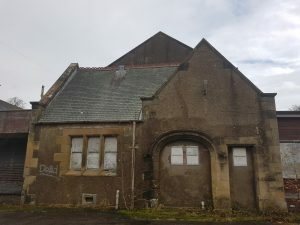 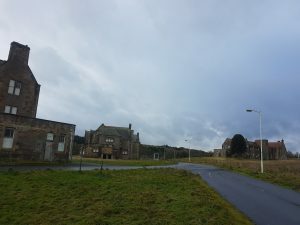 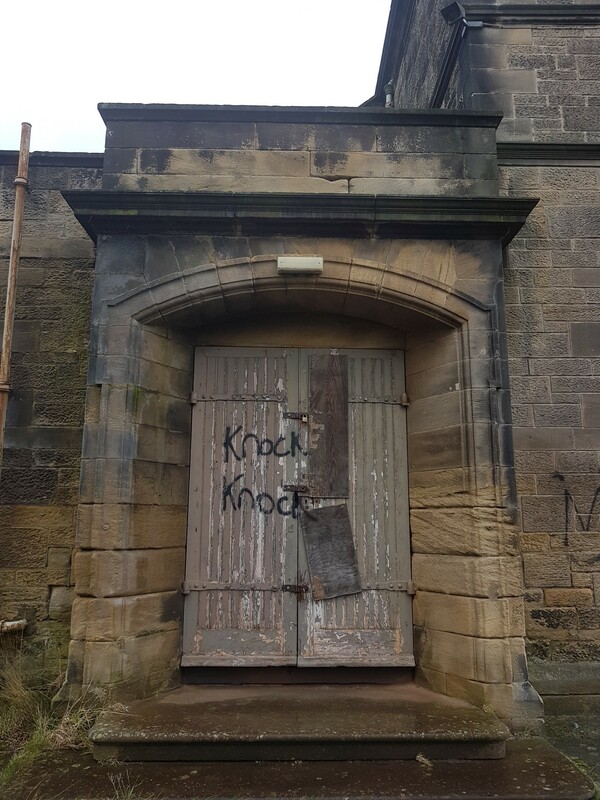 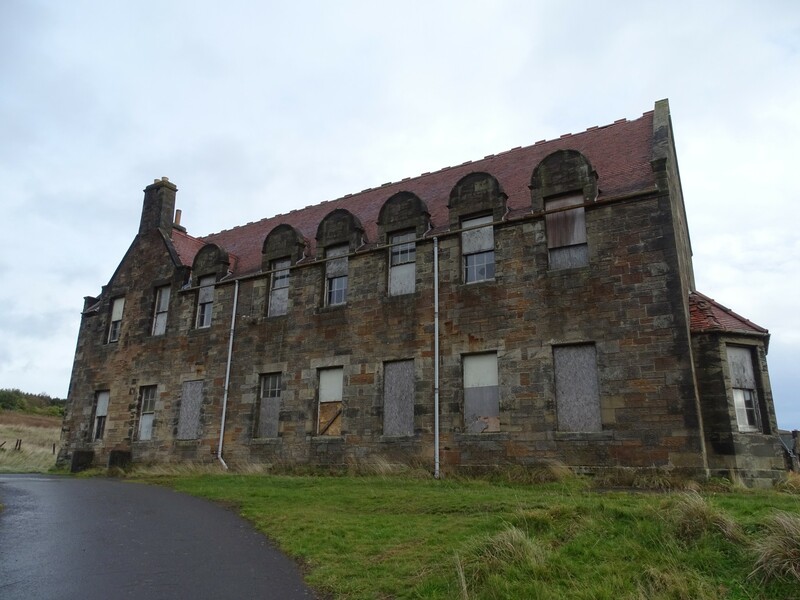 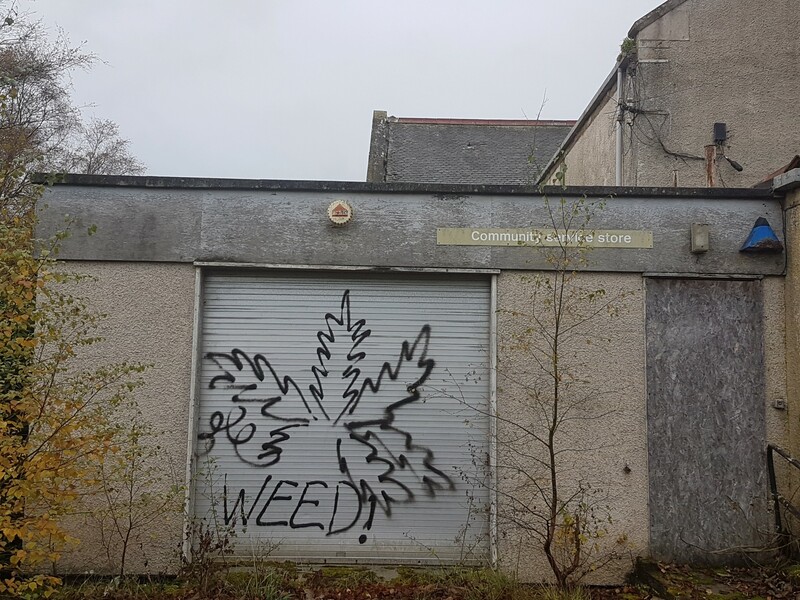 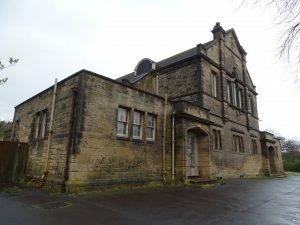 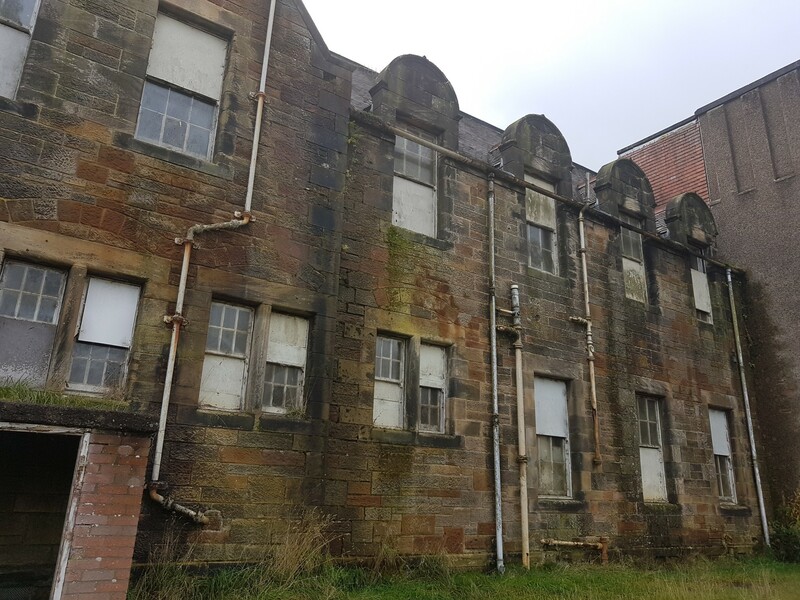 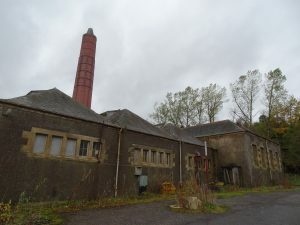 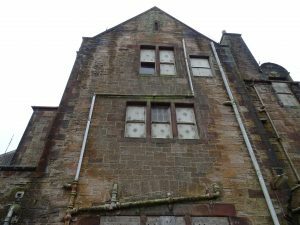 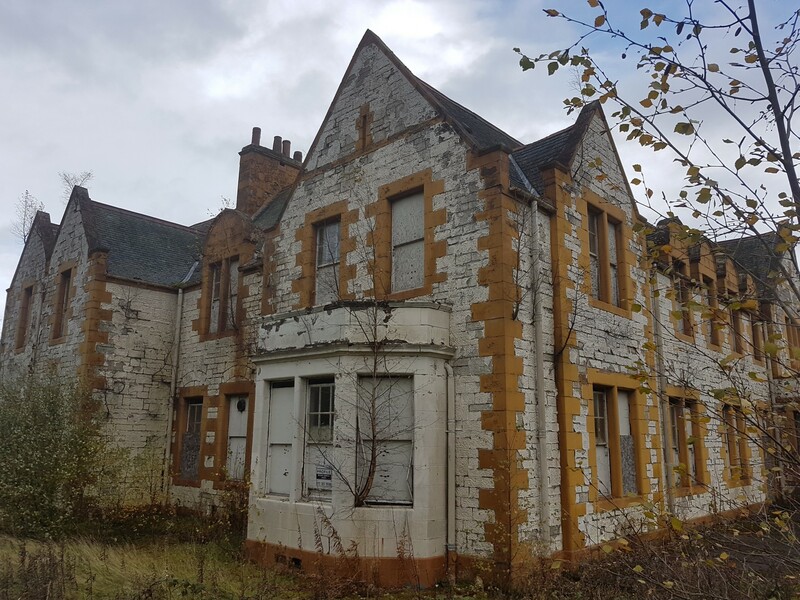 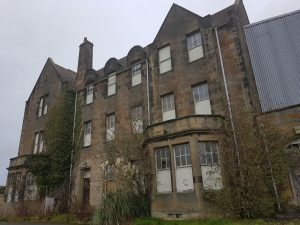 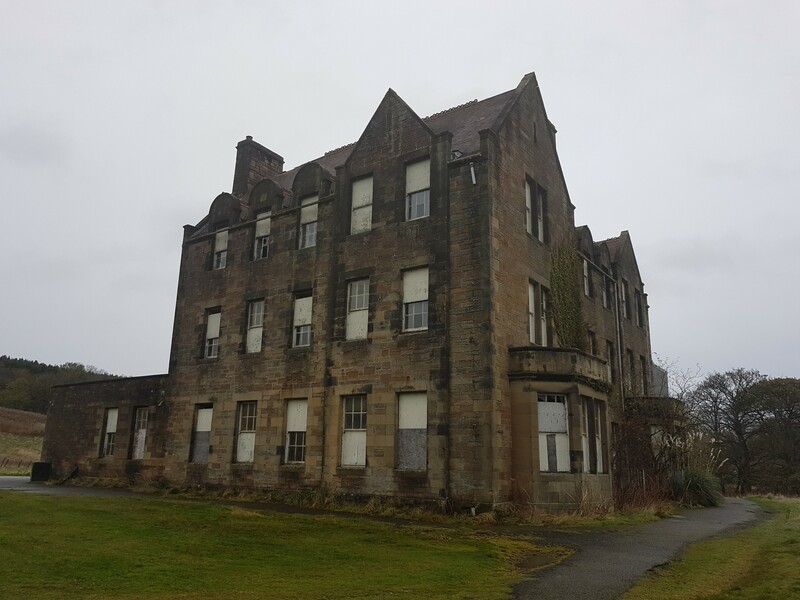 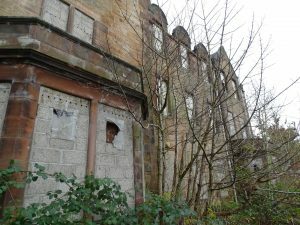 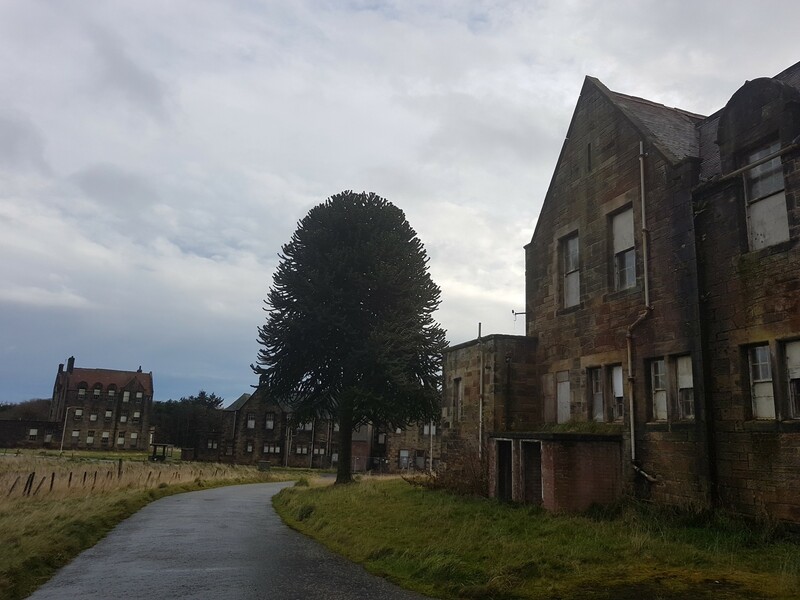 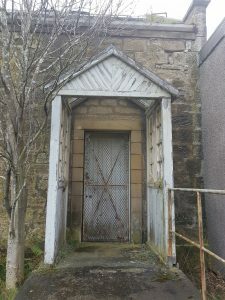 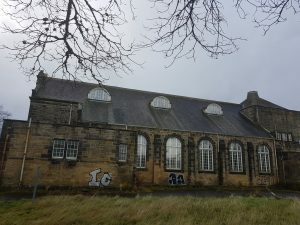 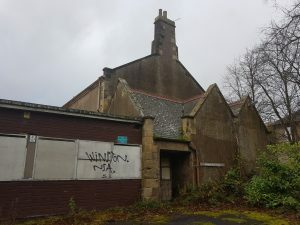 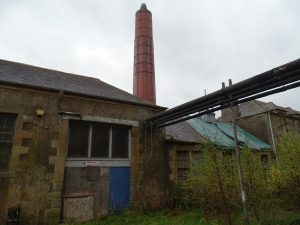 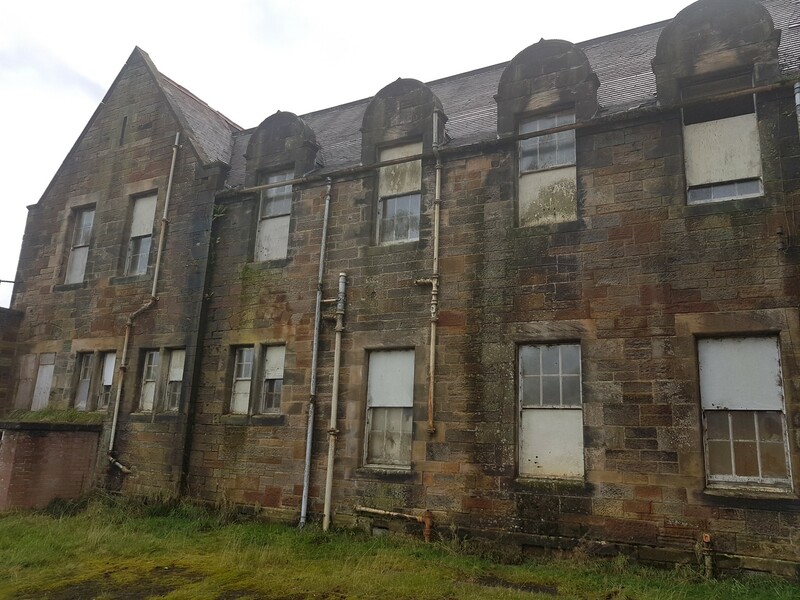 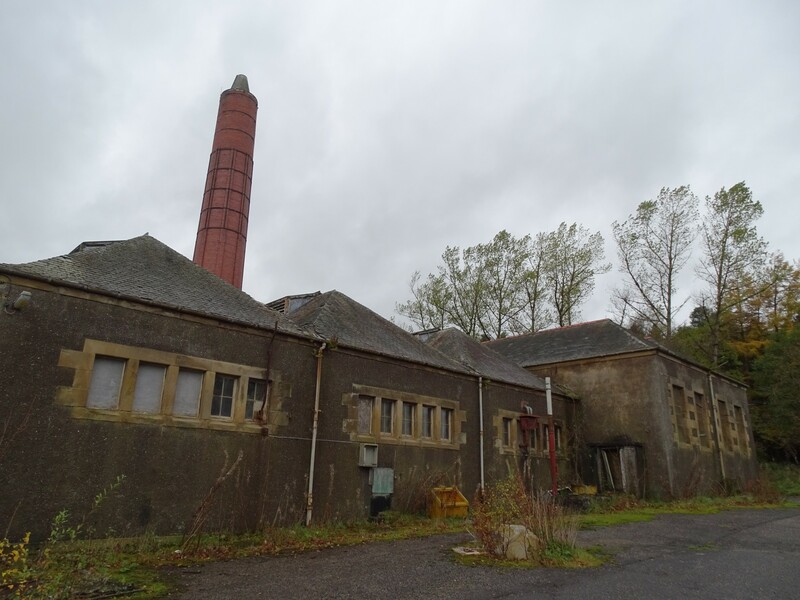 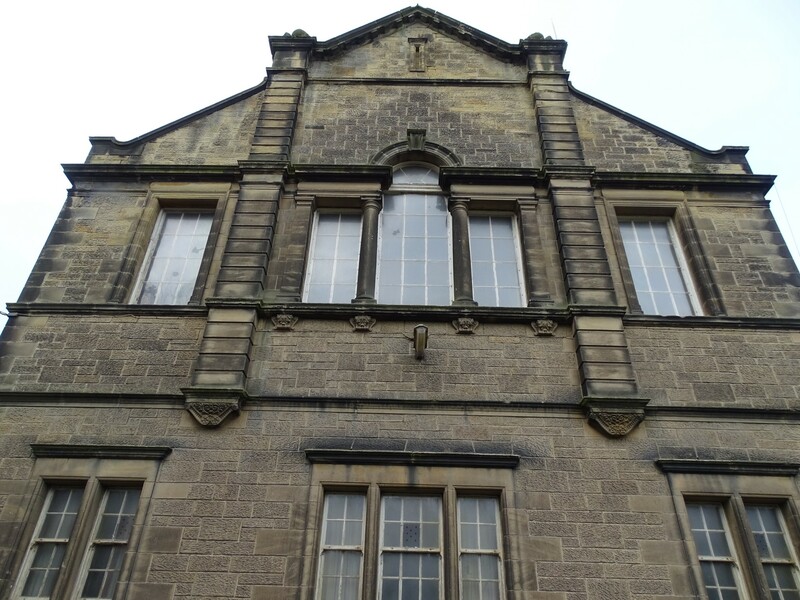 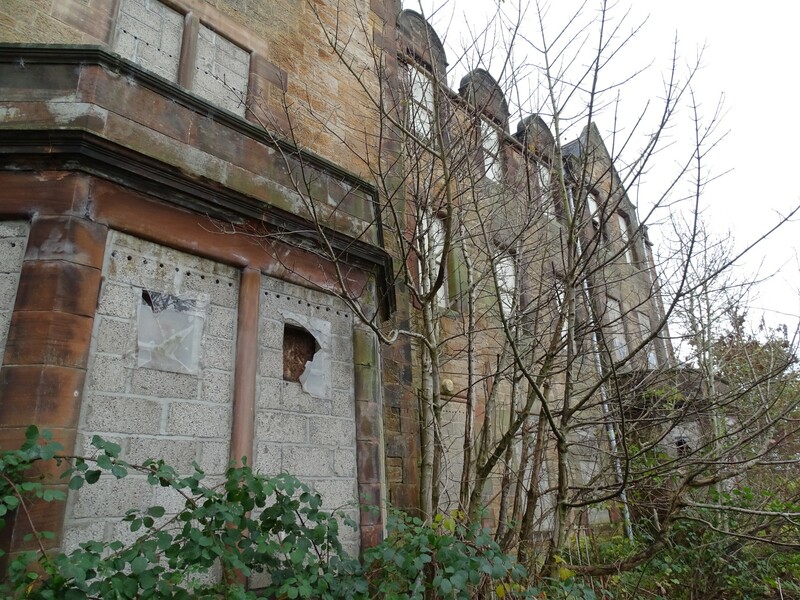 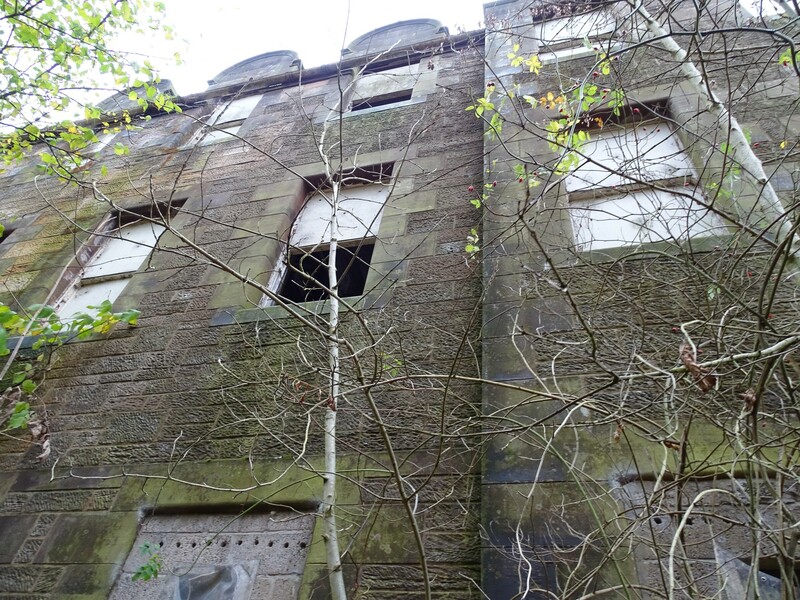 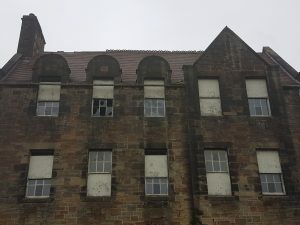 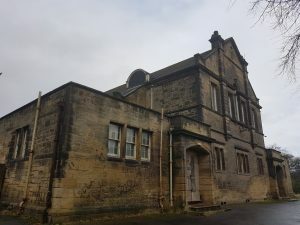 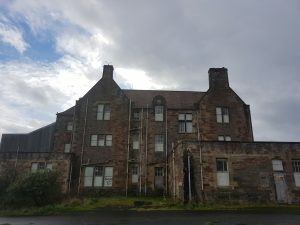 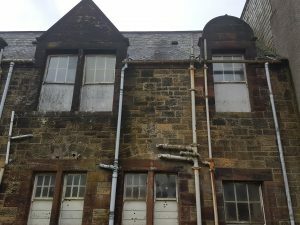 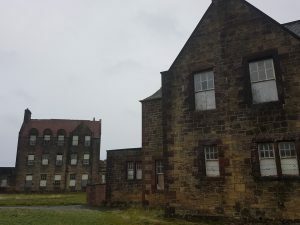 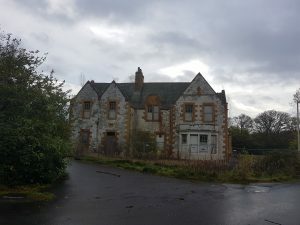 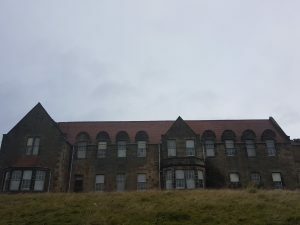 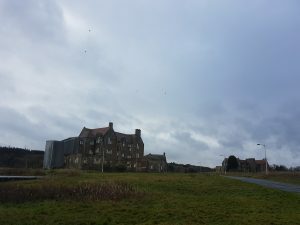 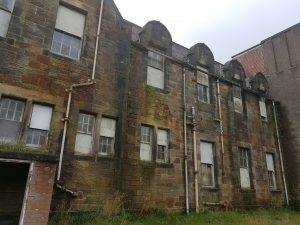 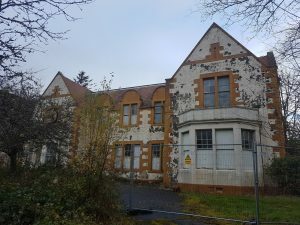 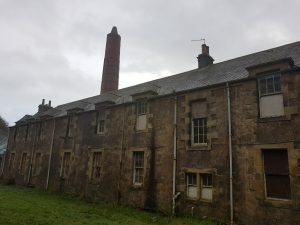 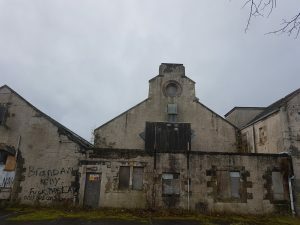 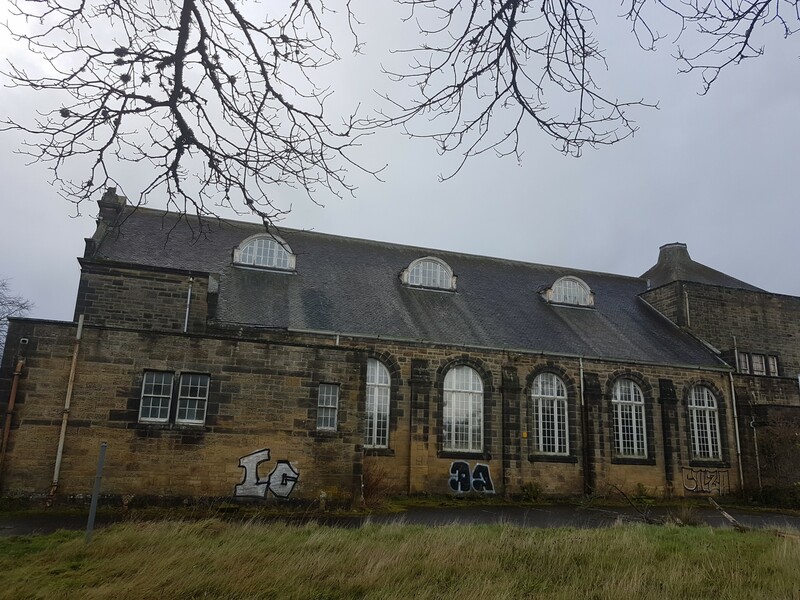 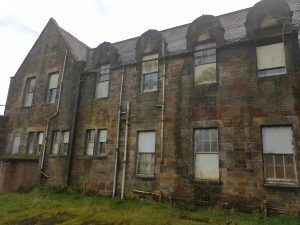 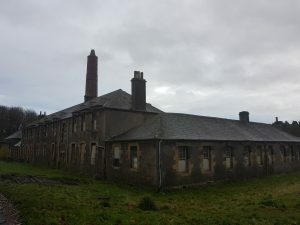 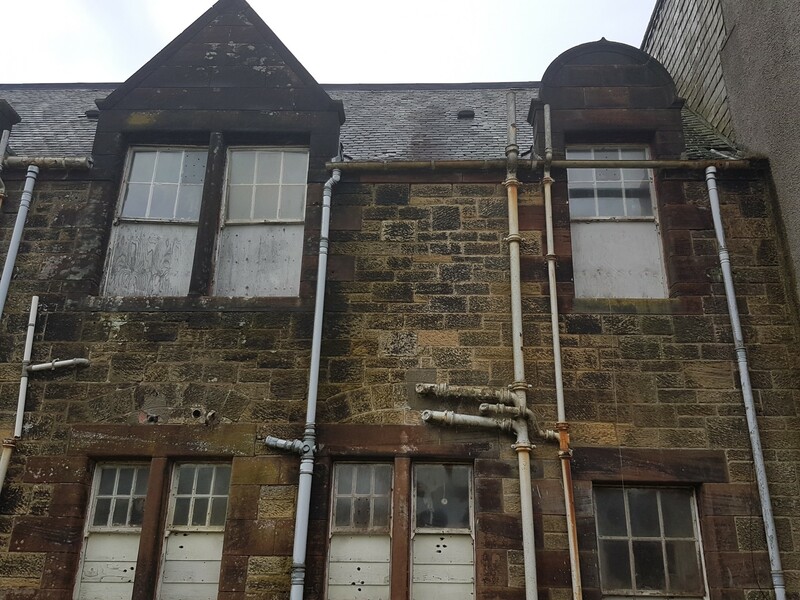 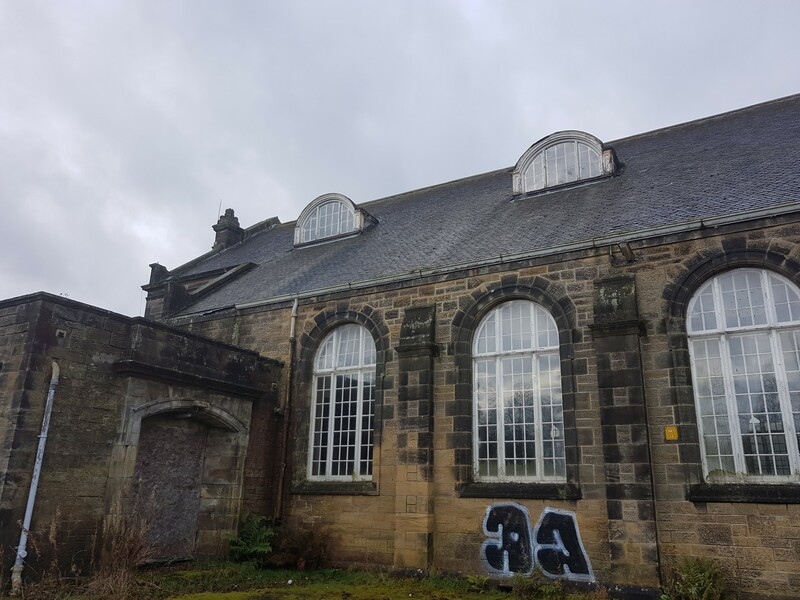 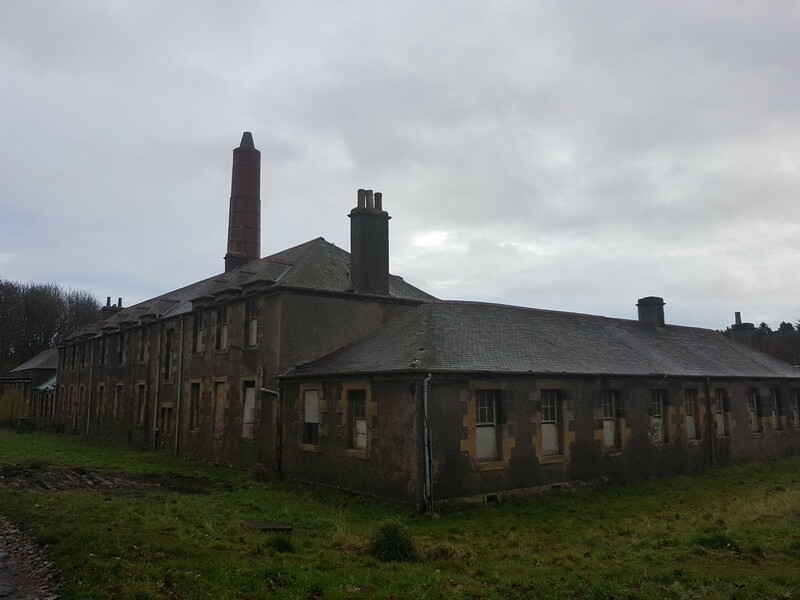 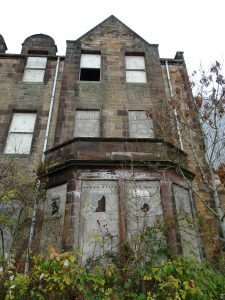 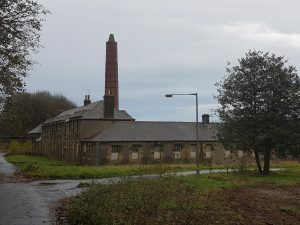 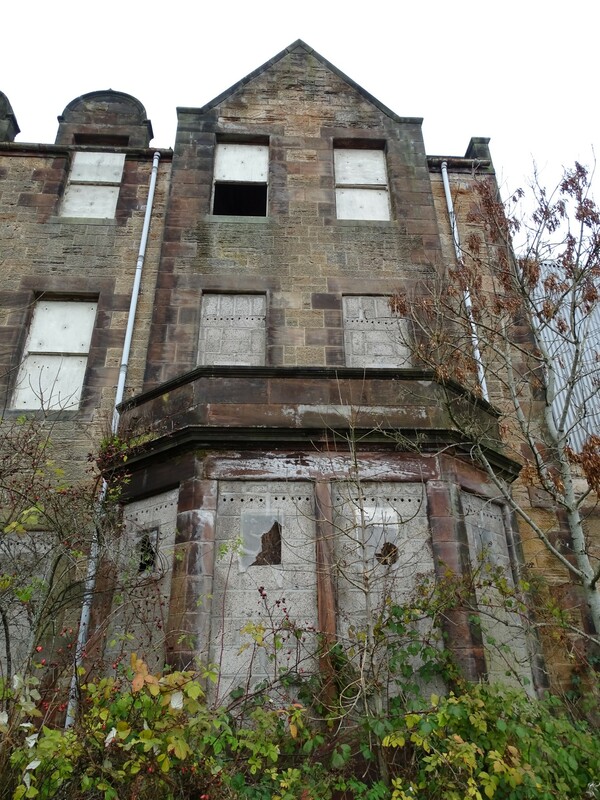 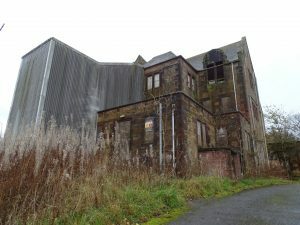 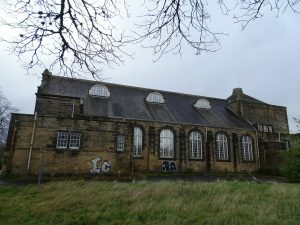 The hospital was requisitioned by the War Office during both wars when it became the “Edinburgh War Hospital” and “The Scottish Emergency Medical Hospital”, reverting to a psychiatric hospital between the wars and after 1945. 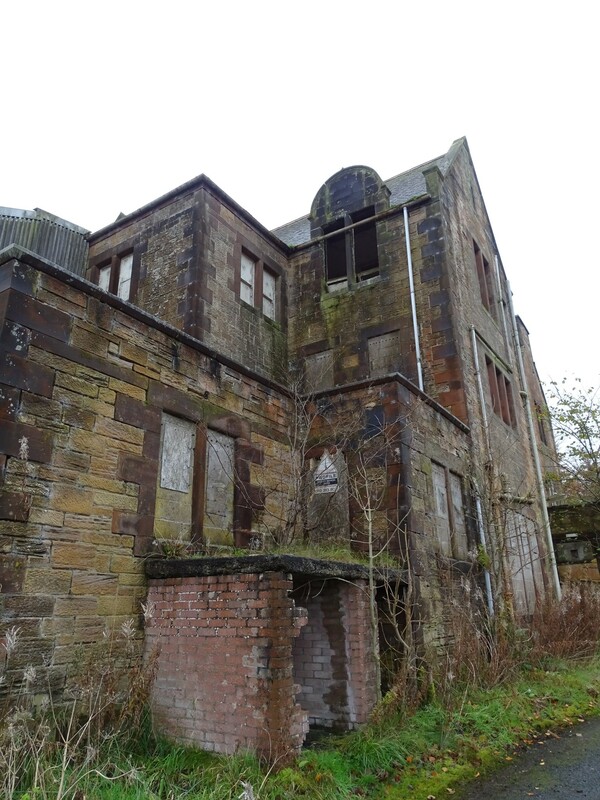 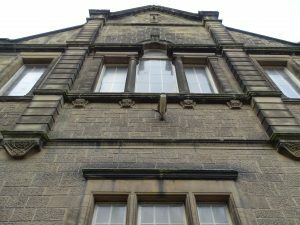 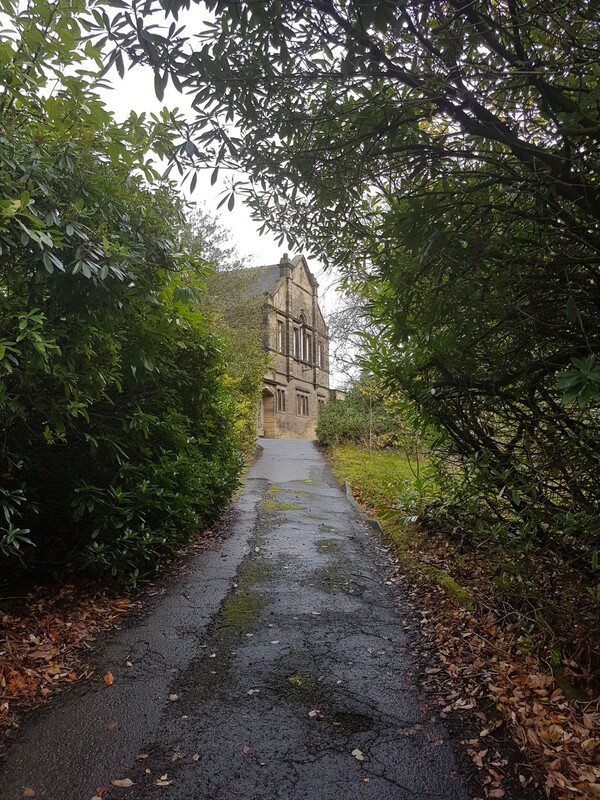 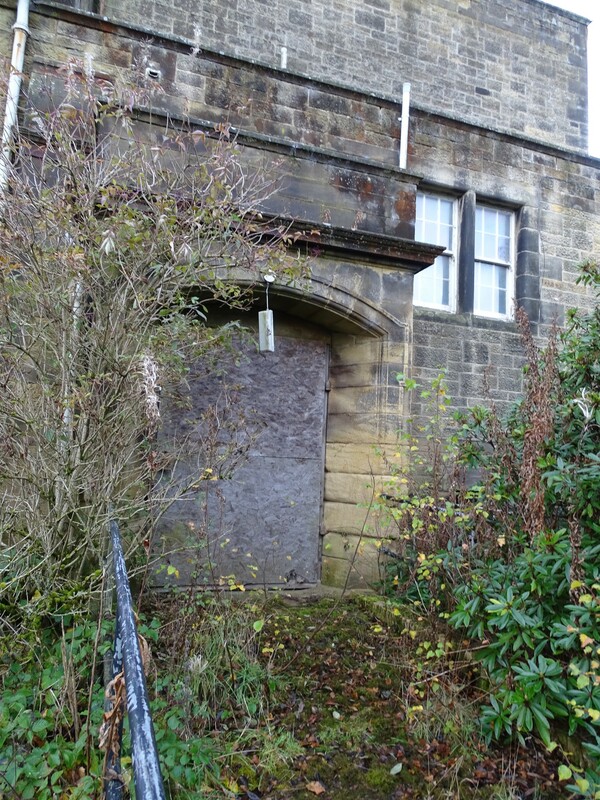 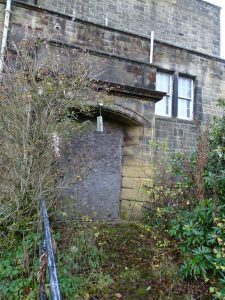 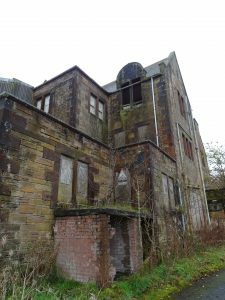 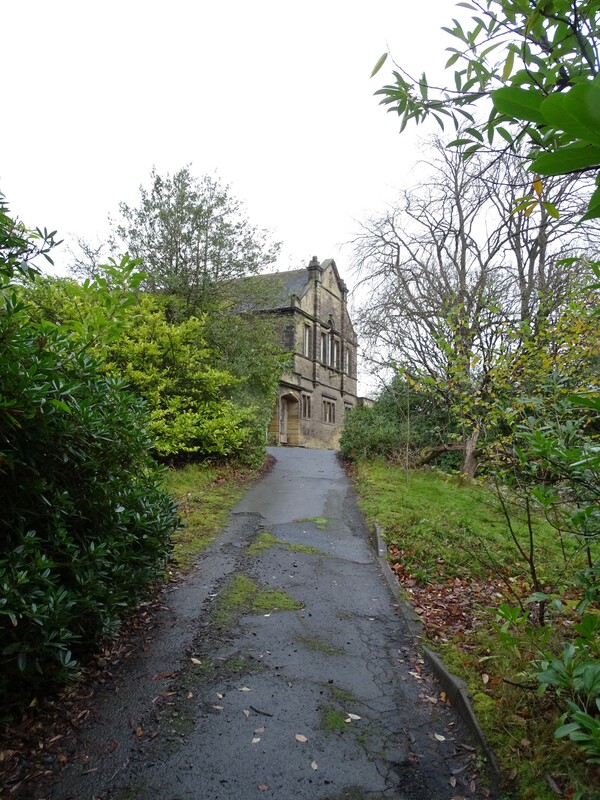 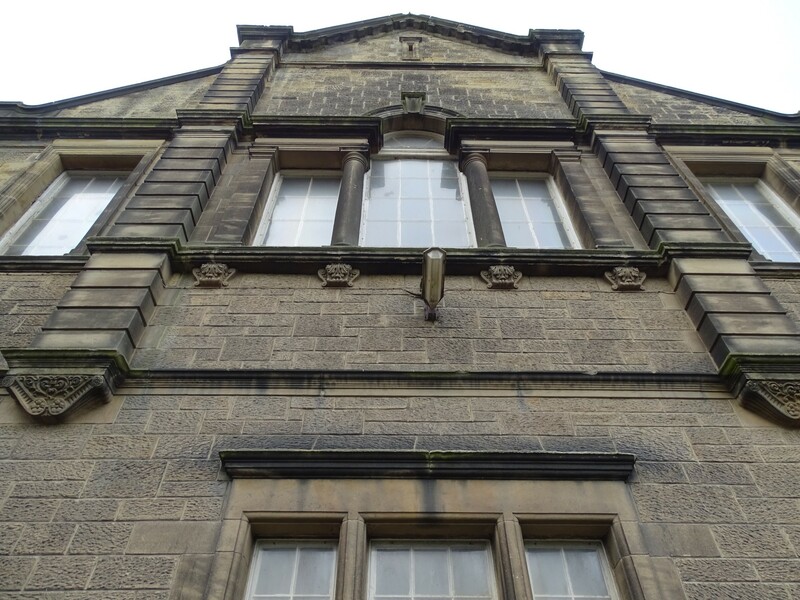 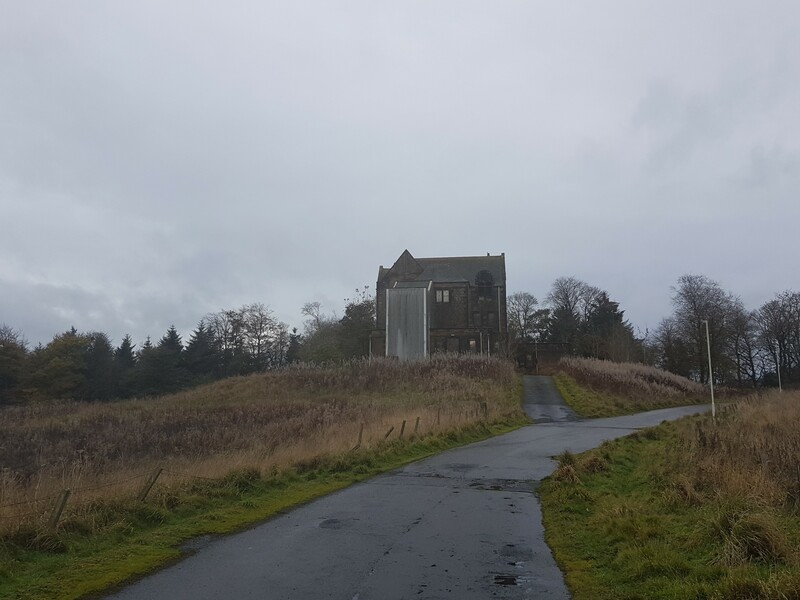 During the Second World War the patients were evacuated to Hartwoodhill Hospital. The number of patients rose to over 3,000 in 1918. 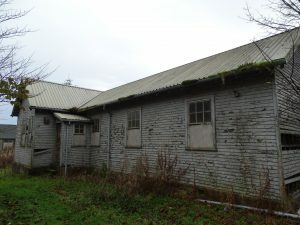 Temporary marquees and prefabricated huts were erected to cope with the demand for bed space, for both patients and staff. 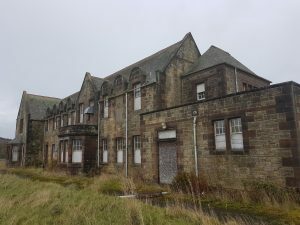 This led to the creation of Bangour General Hospital in the surrounding grounds, which was to become noted in many medical fields, in particular its burns and plastic surgery unit which was established in 1940. It also had a 1st class Maternity Unit serving the whole of the county. 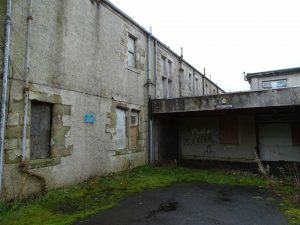 In 1989, St John’s Hospital opened in nearby Livingston, and services were transferred from Bangour General Hospital, which closed in the early 1990s. 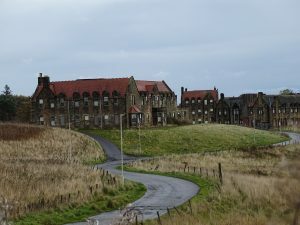 The Village Hospital also started to wind down after the opening of St Johns, with the last remaining ward closing in 2004. The closed hospital was used as a filming location for the 2005 film The Jacket, starring Keira Knightley and Adrien Brody. 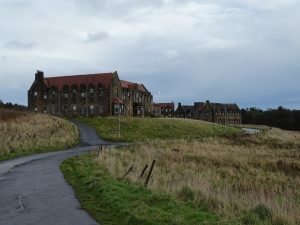 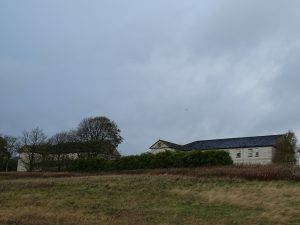 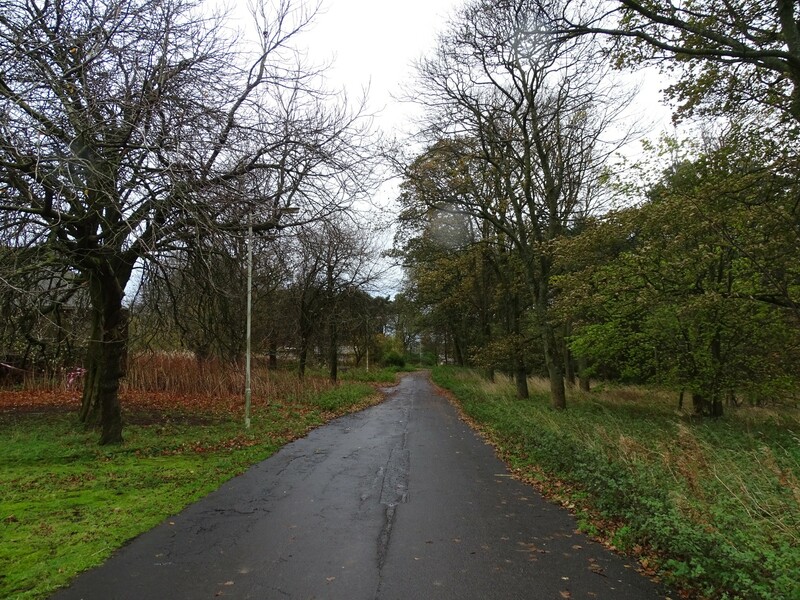 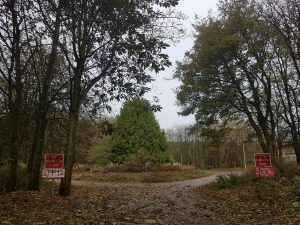 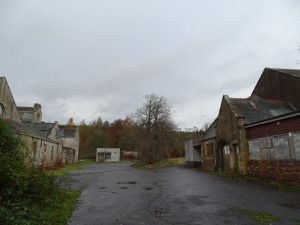 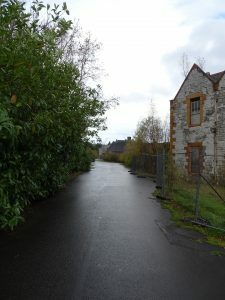 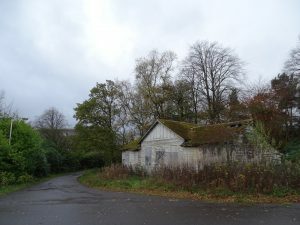 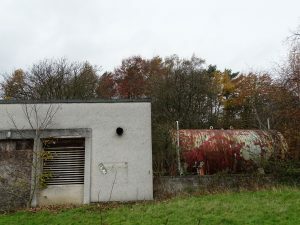 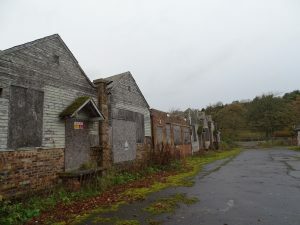 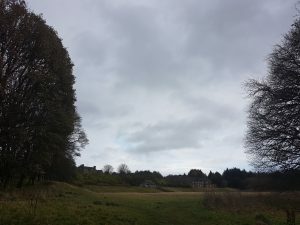 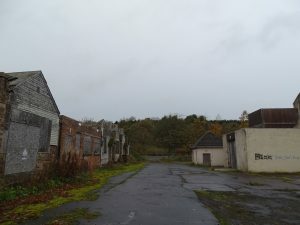 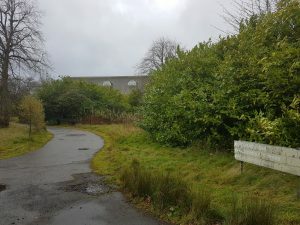 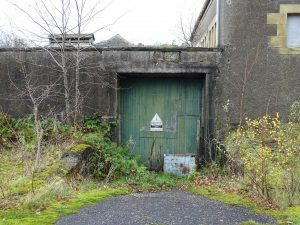 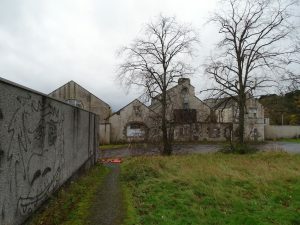 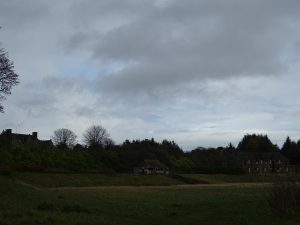 During September 2009, the hospital grounds were used as the site for “Exercise Green Gate”, a counter-terrorist exercise run by the Scottish Government to test de-contamination procedures in the event of a nuclear, chemical or biological incident. 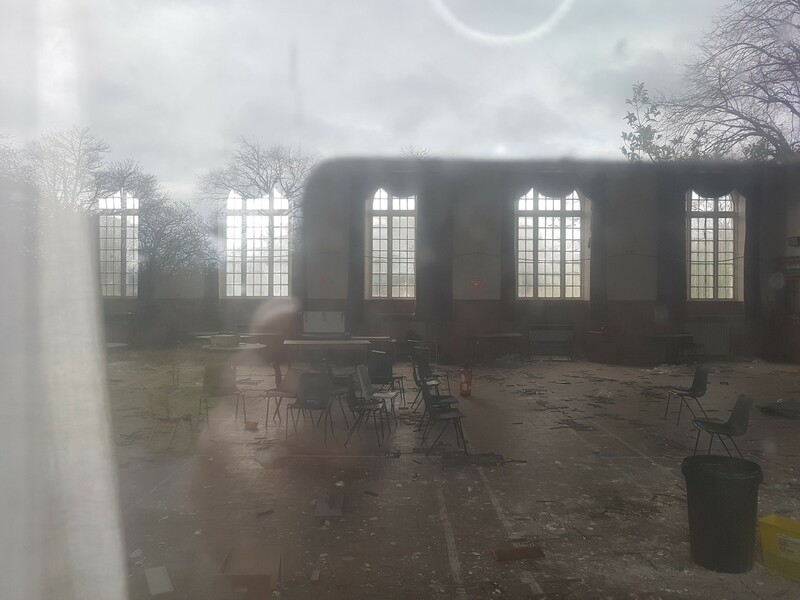 This involved 250 volunteer “casualties” and 400 emergency staff. 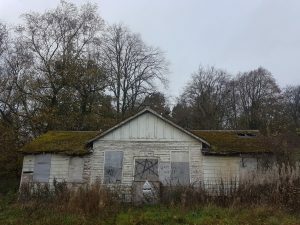 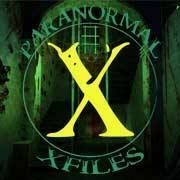 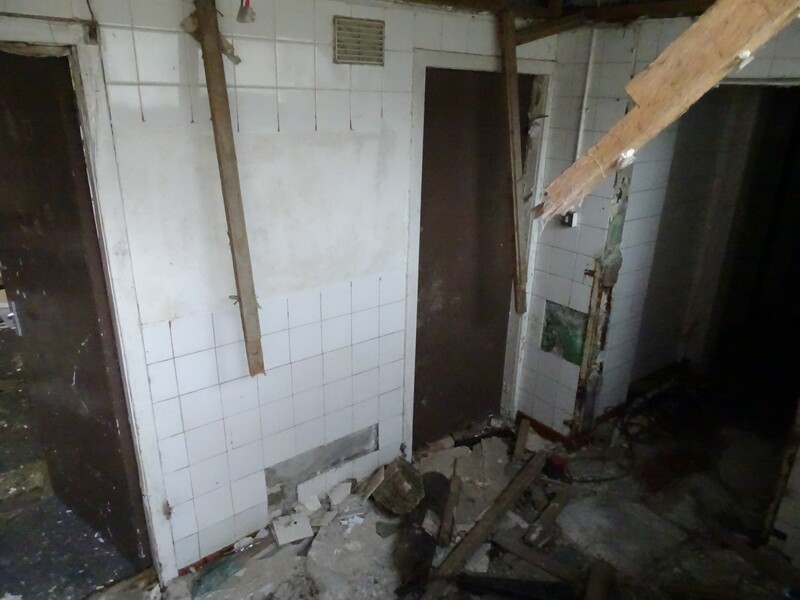 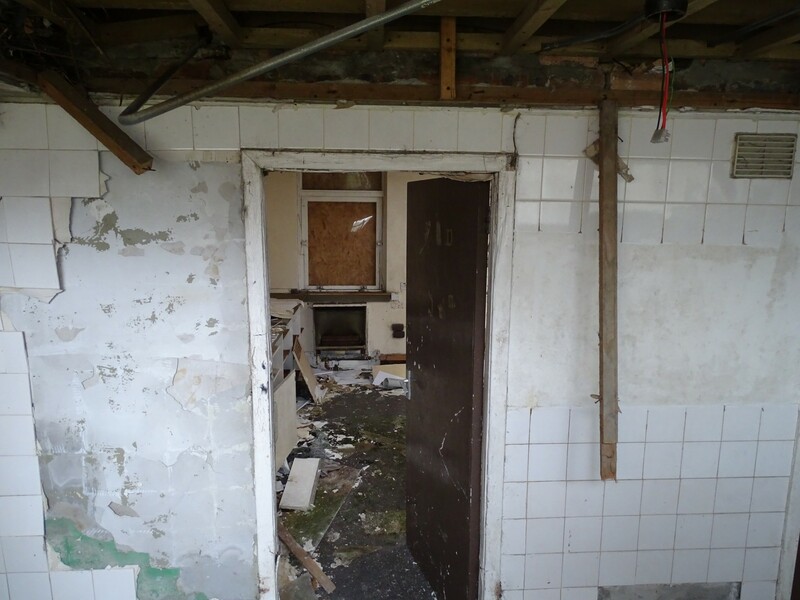 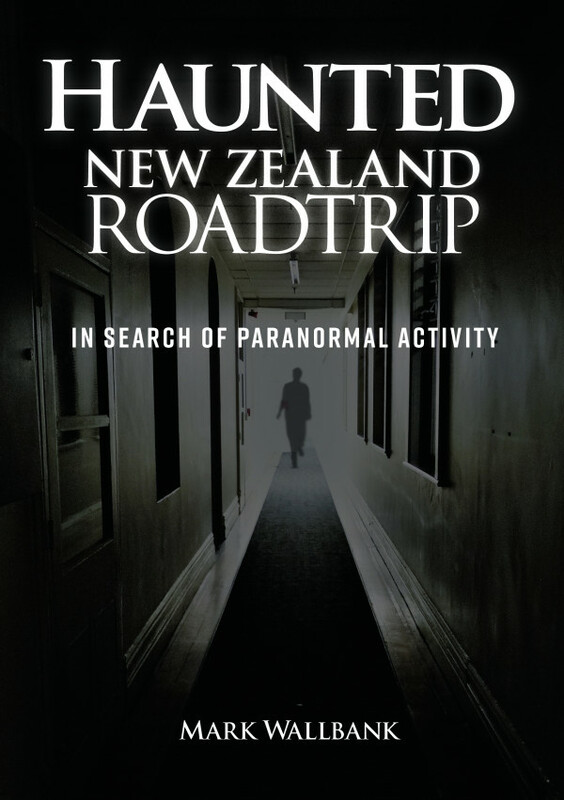 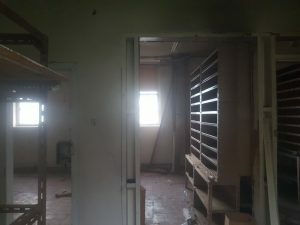 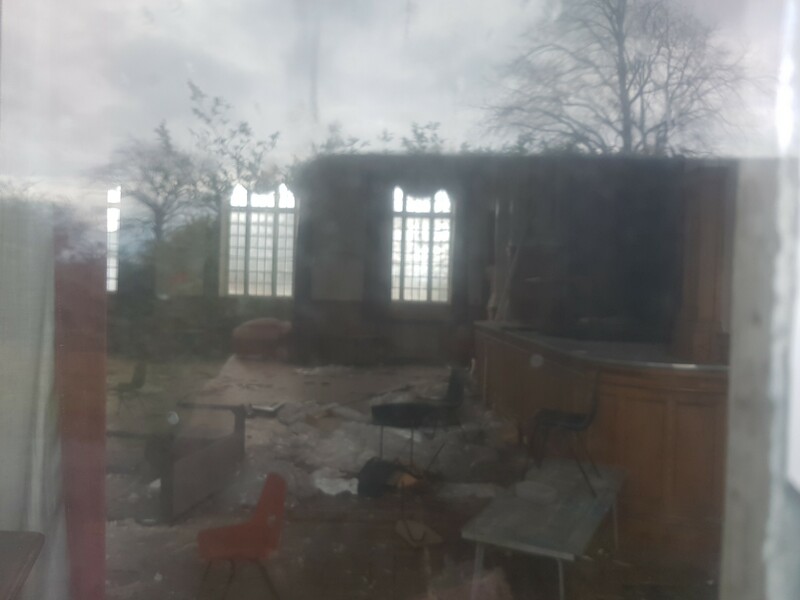 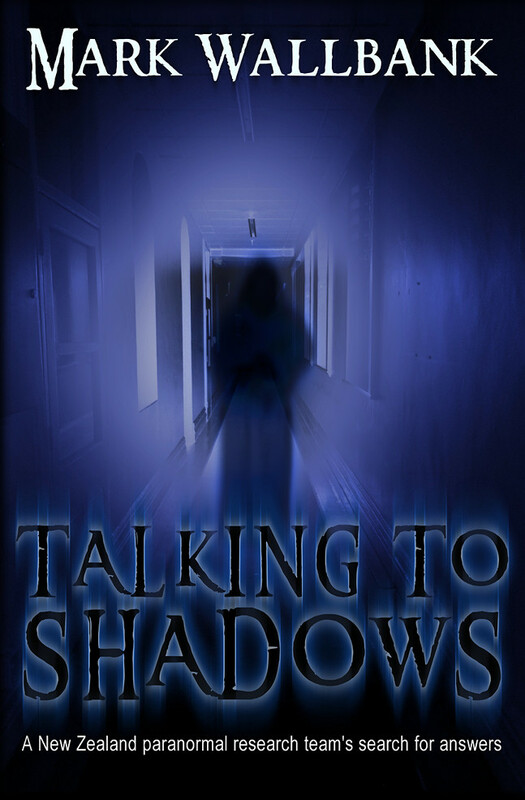 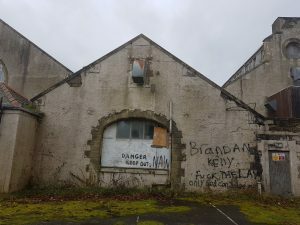 The site is now also popular with Urban Explorers people who enjoy exploring old and abandoned buildings, taking pictures to document their existence before they disappear due to either severe decay or demolition. 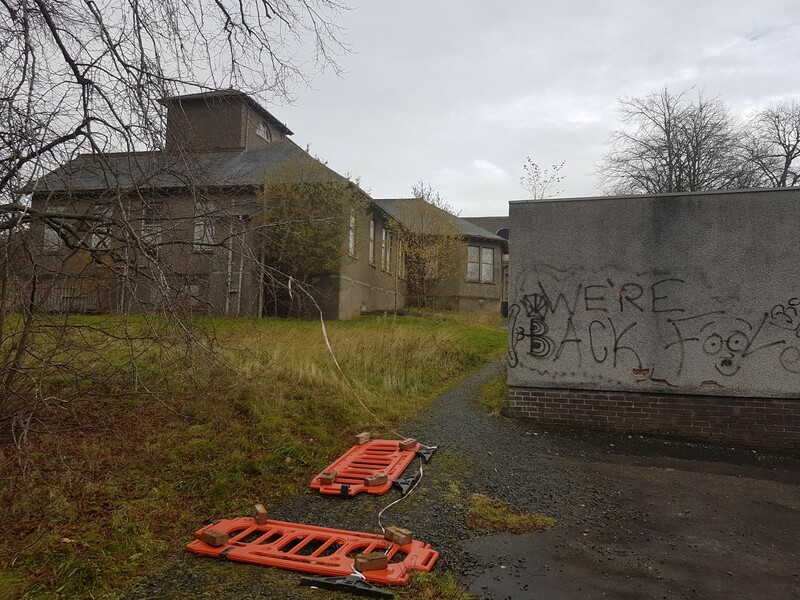 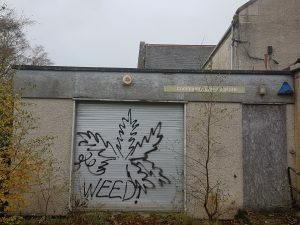 The local health board however are not keen and as of 2005 have security patrolling the grounds to stop people entering the now dangerous and unstable buildings. 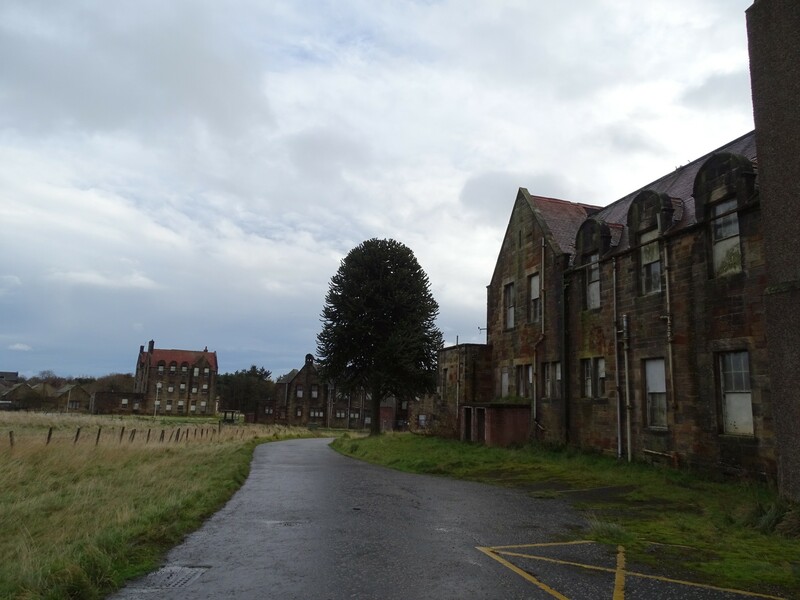 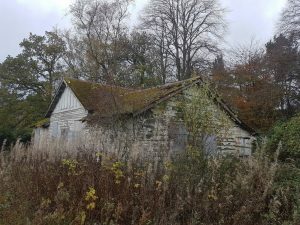 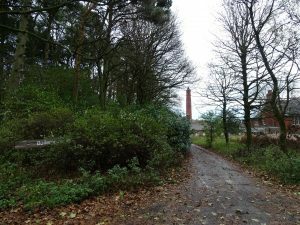 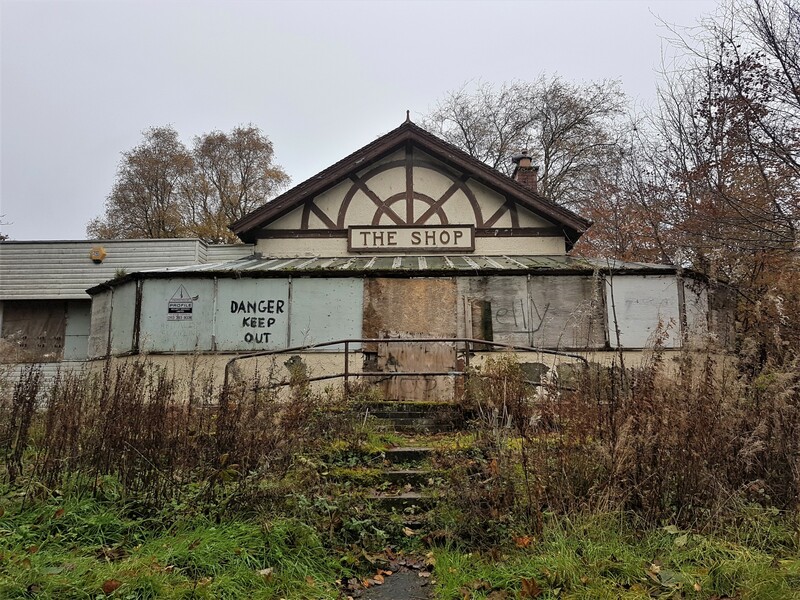 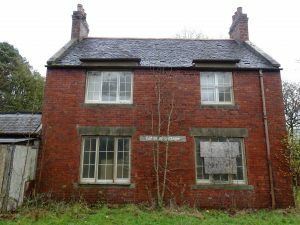 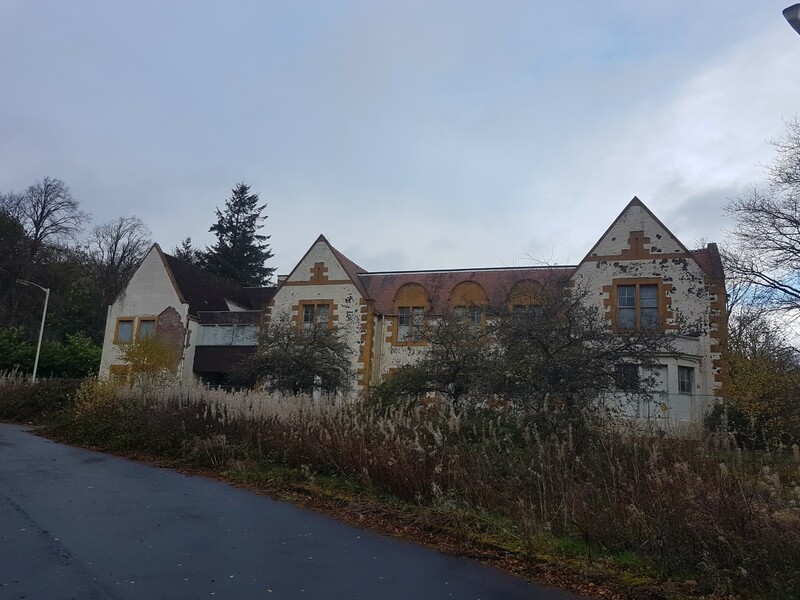 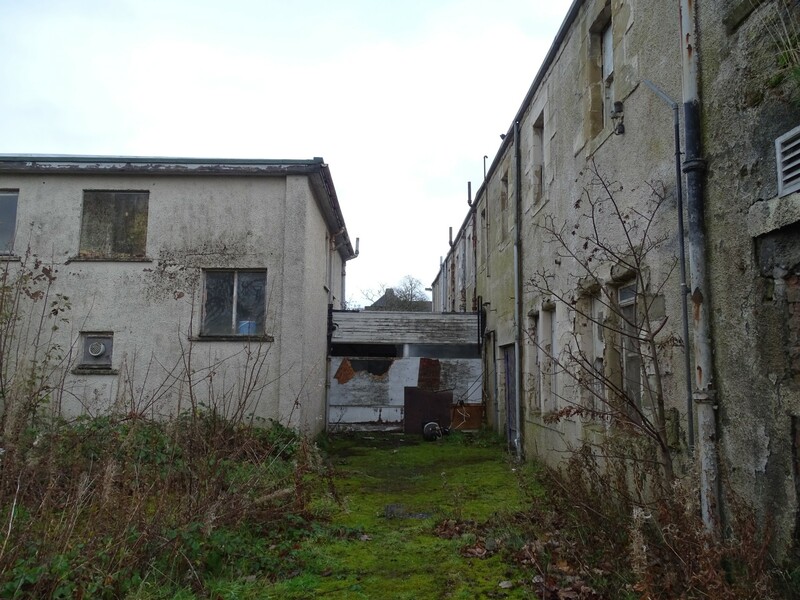 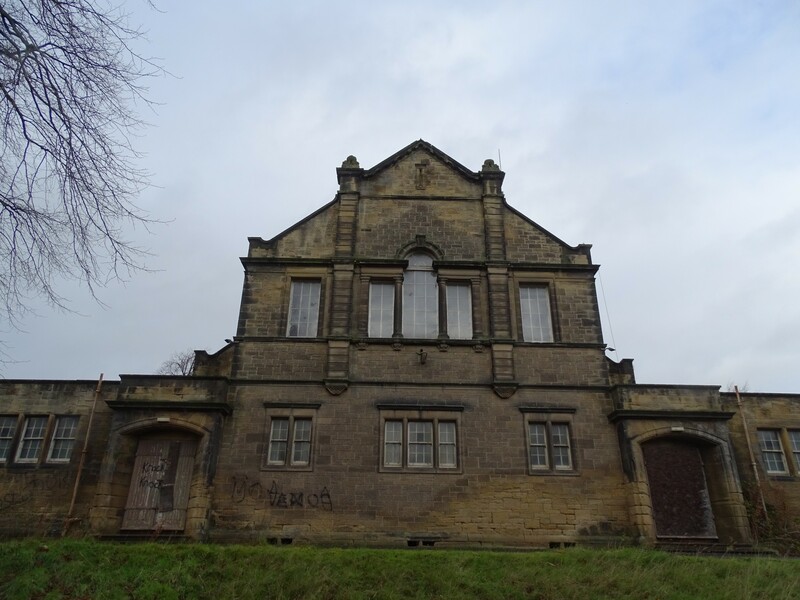 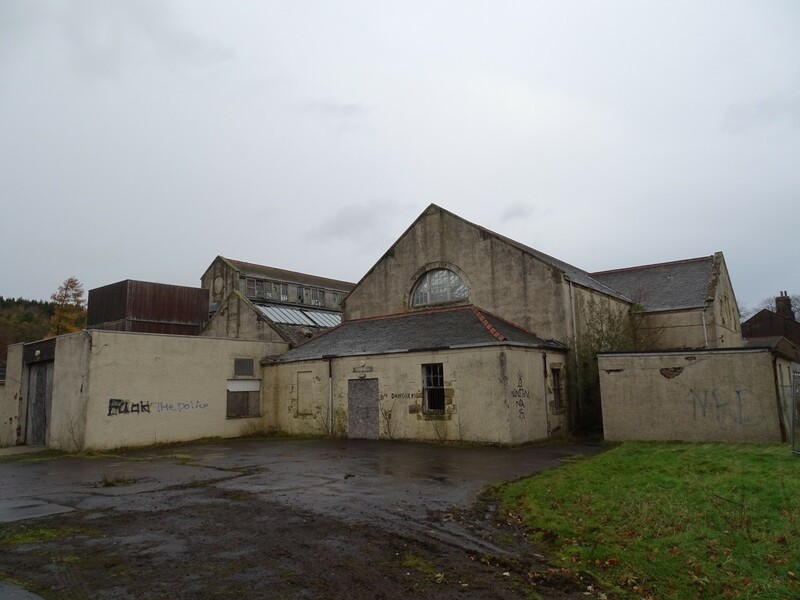 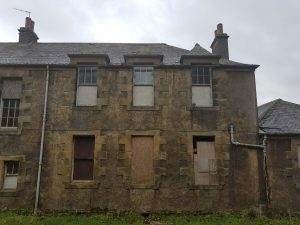 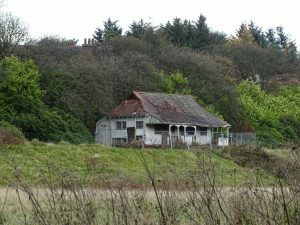 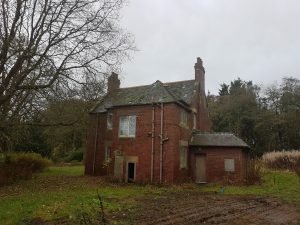 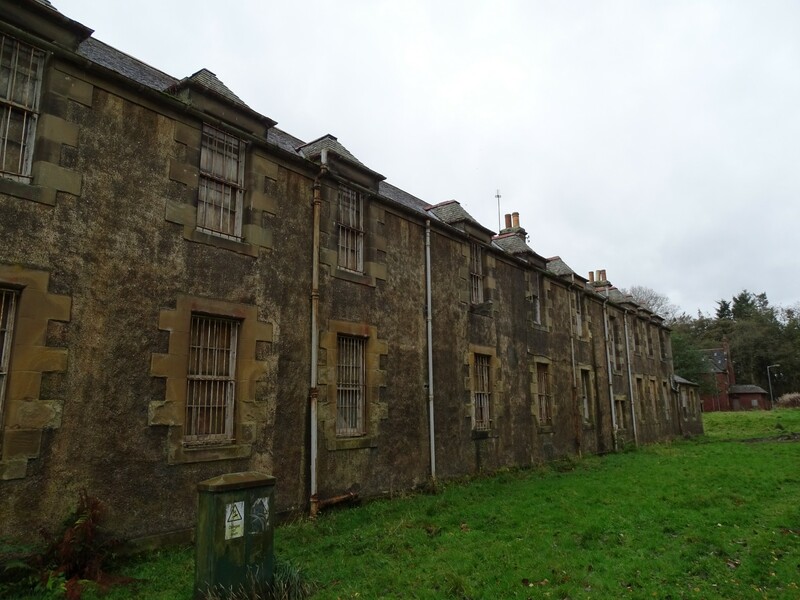 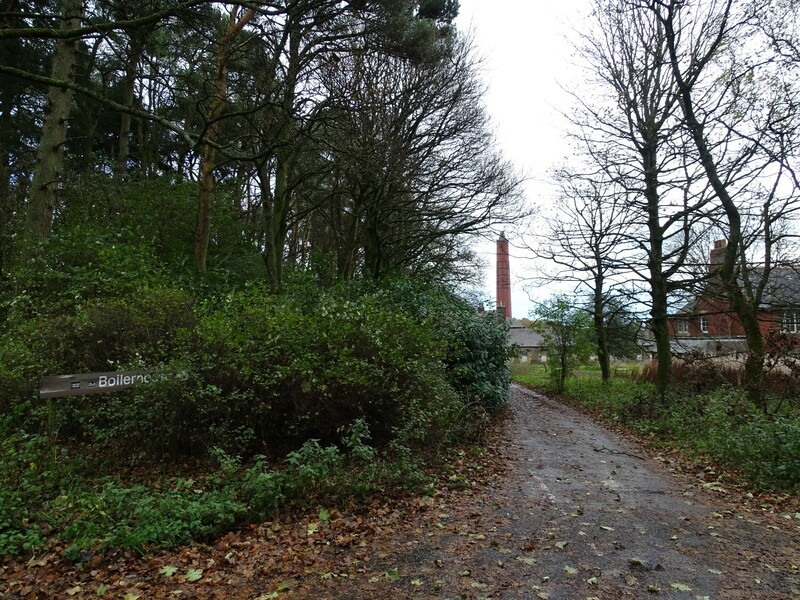 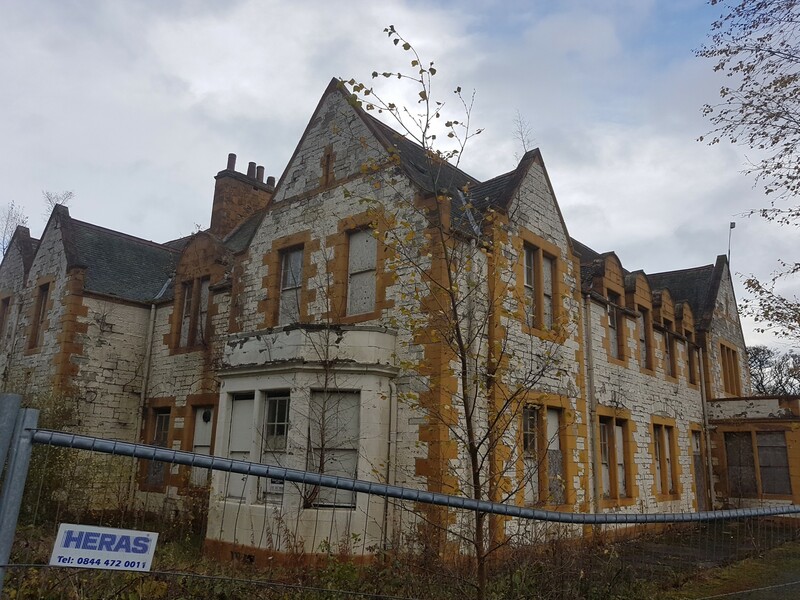 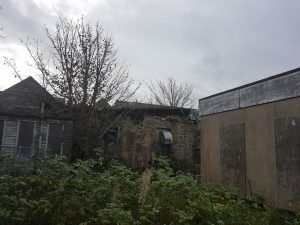 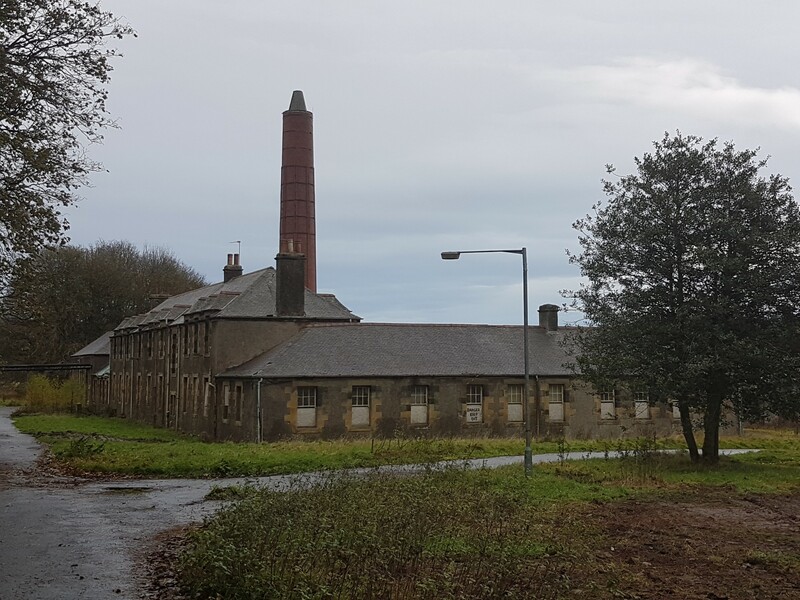 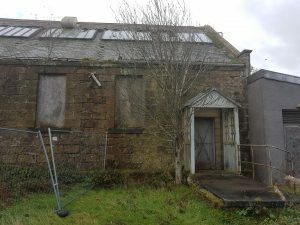 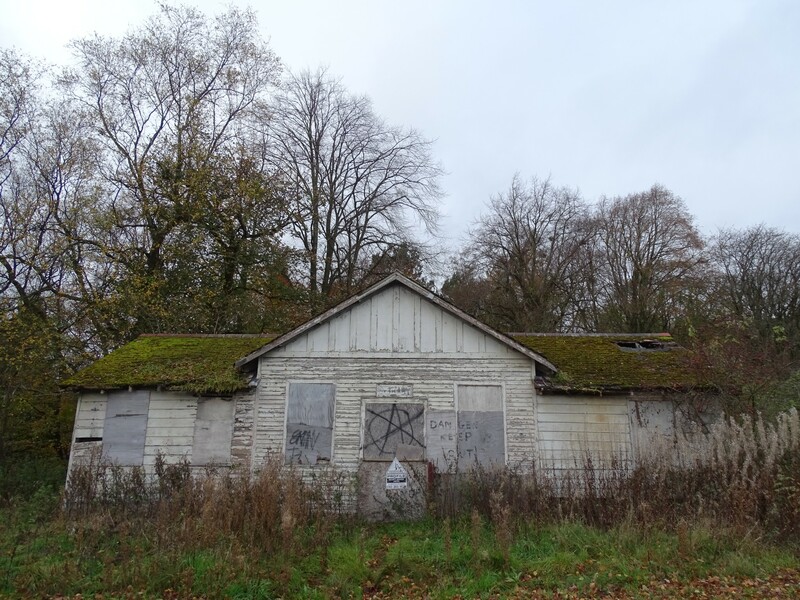 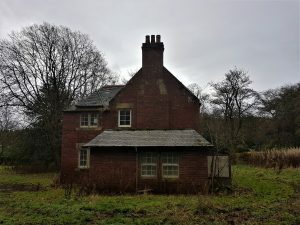 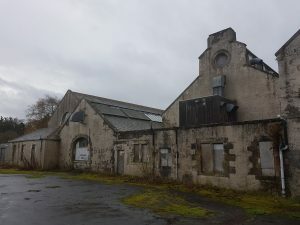 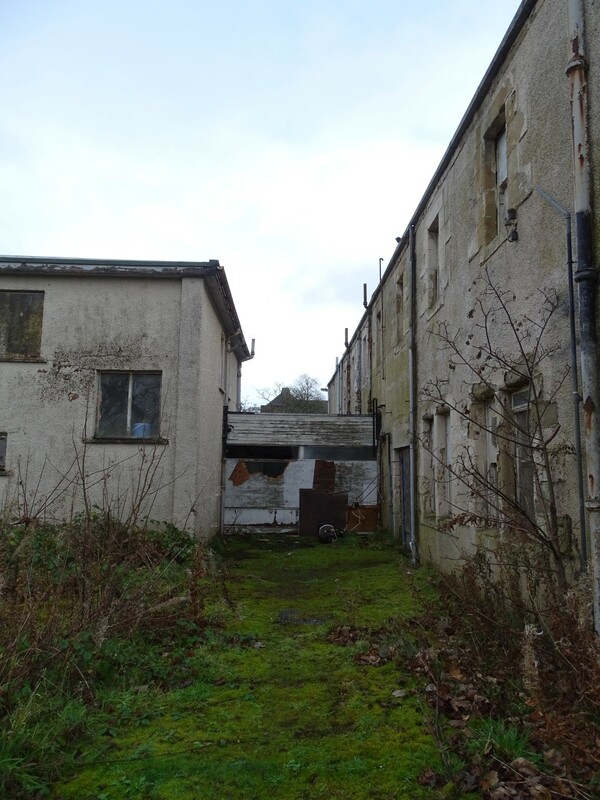 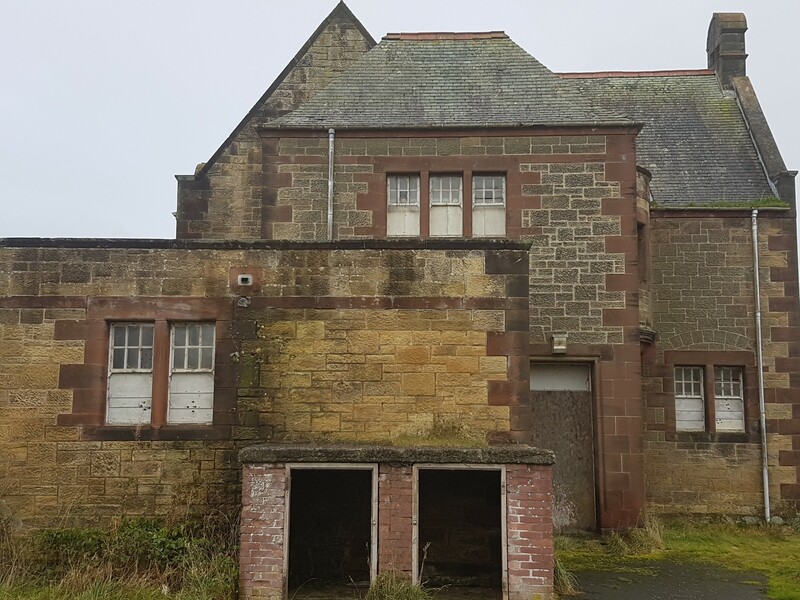 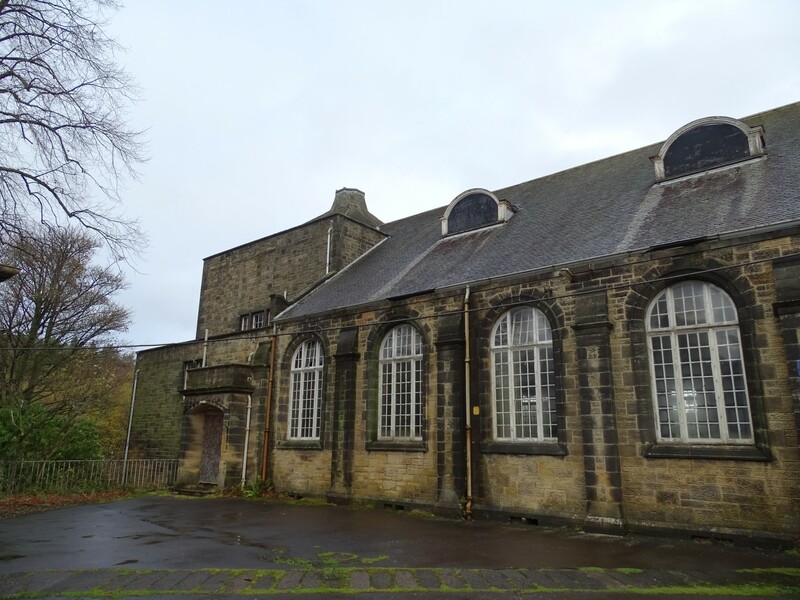 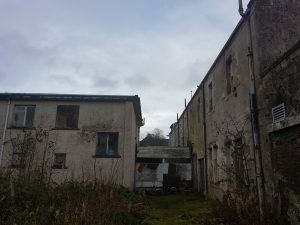 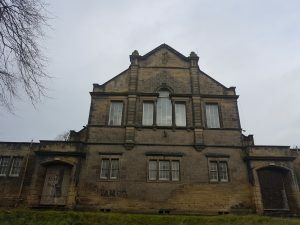 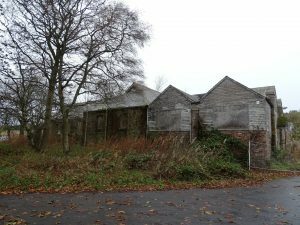 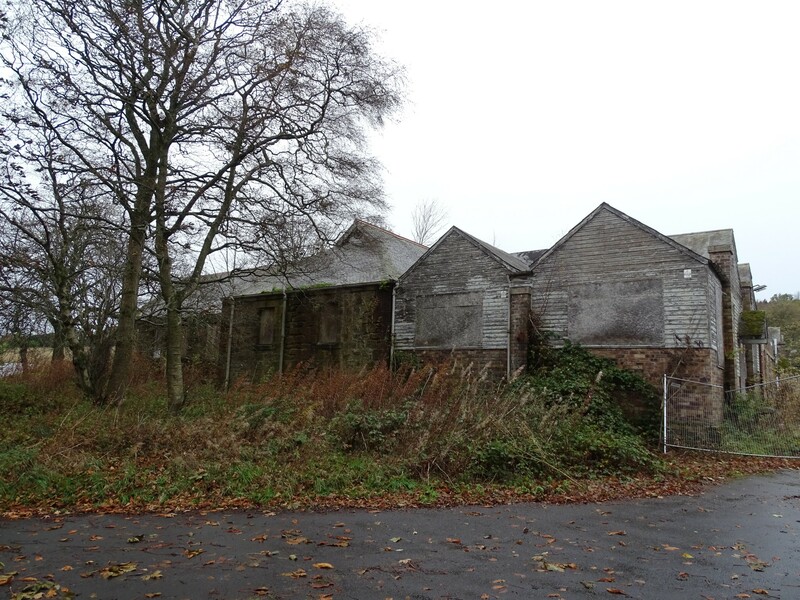 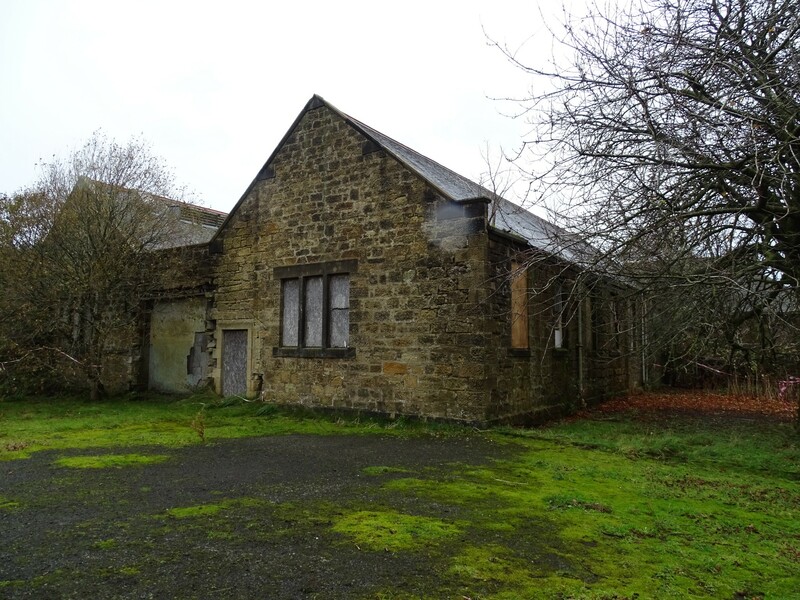 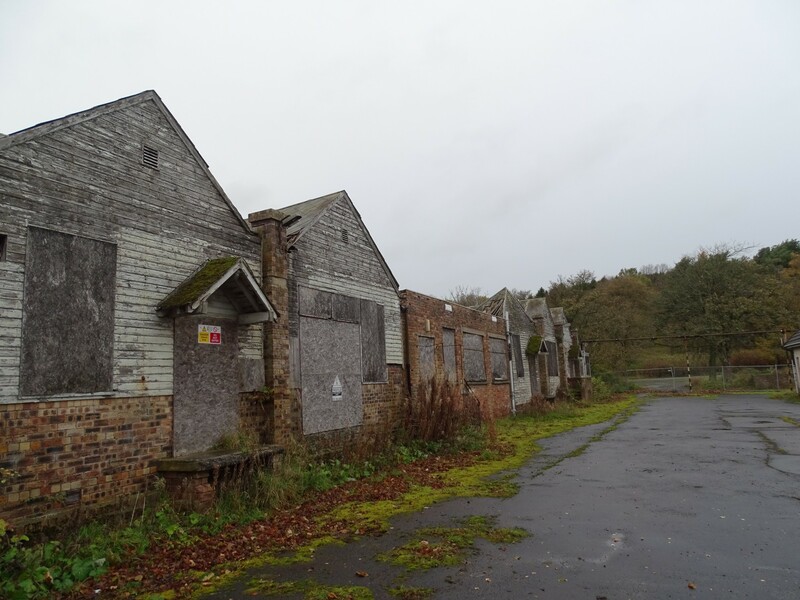 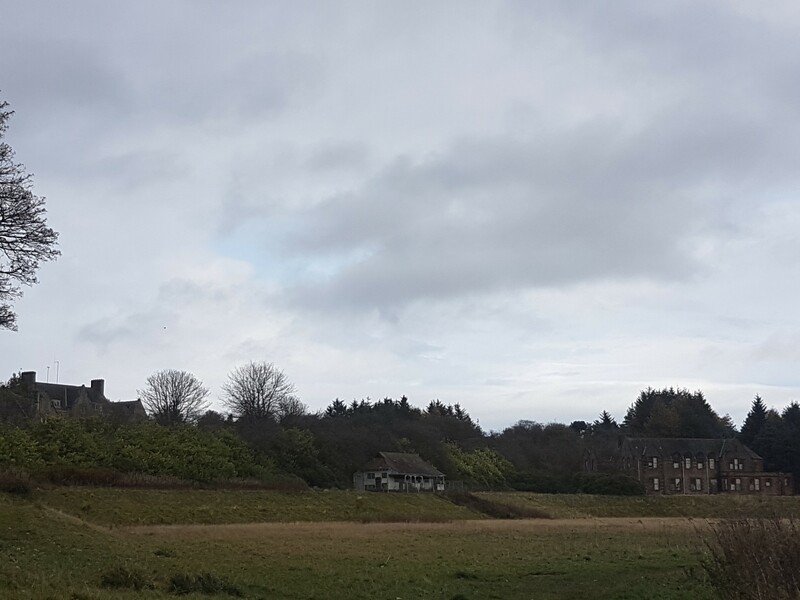 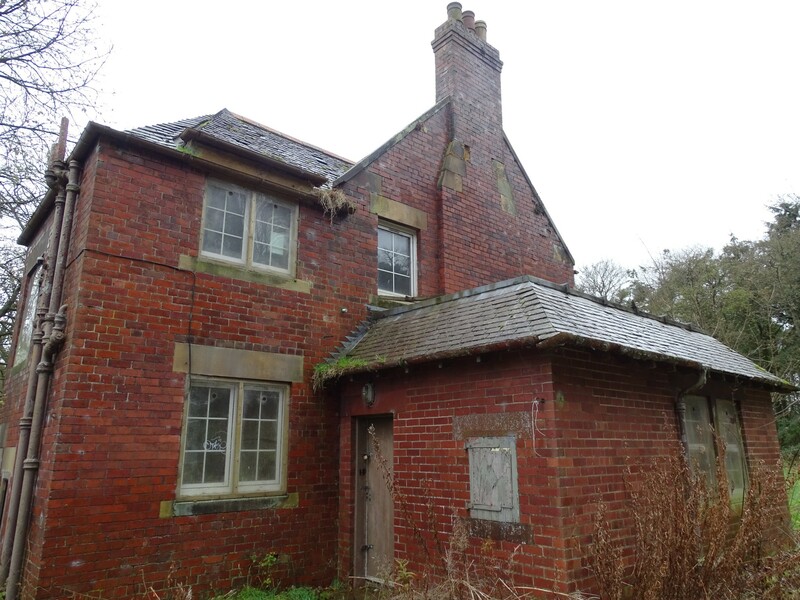 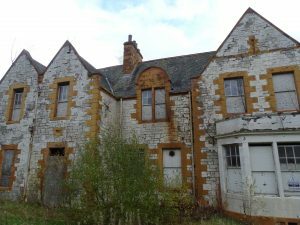 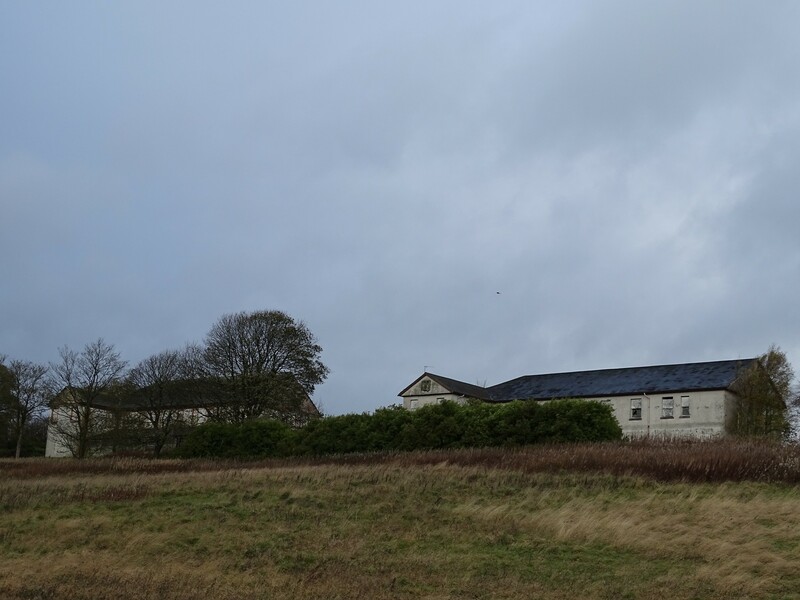 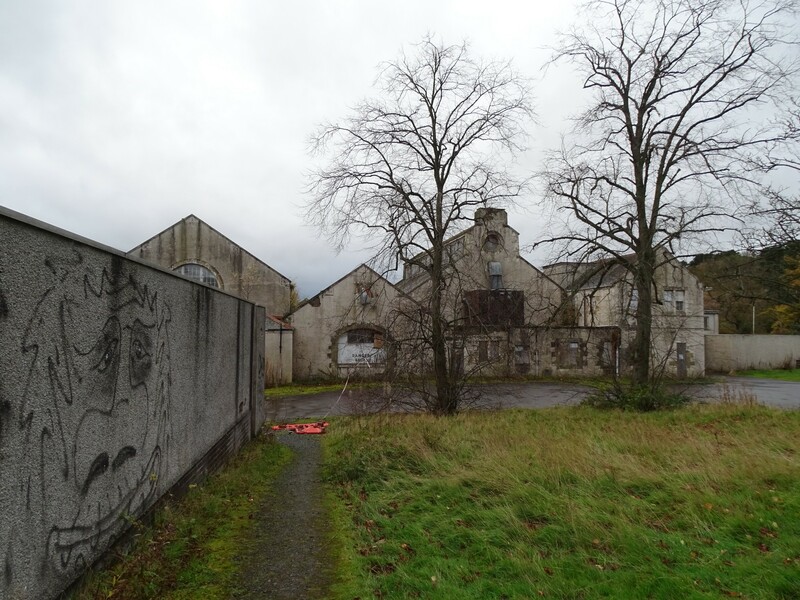 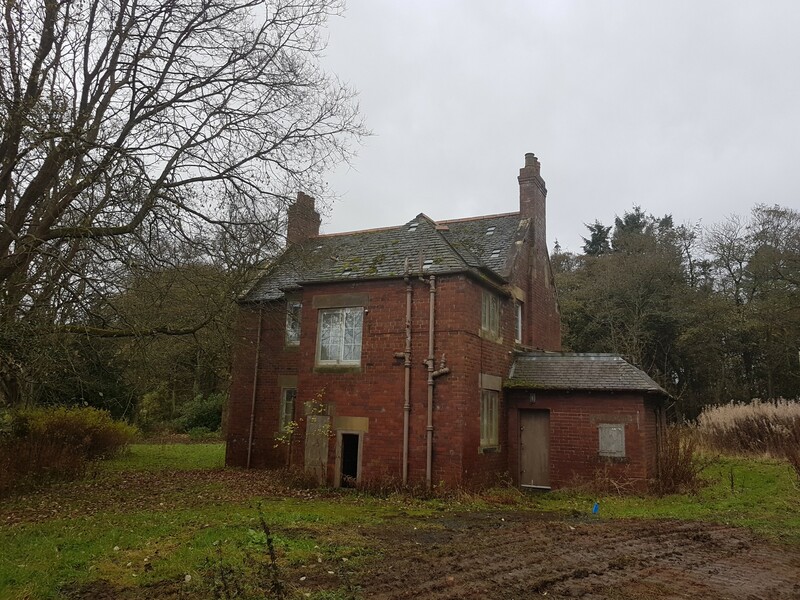 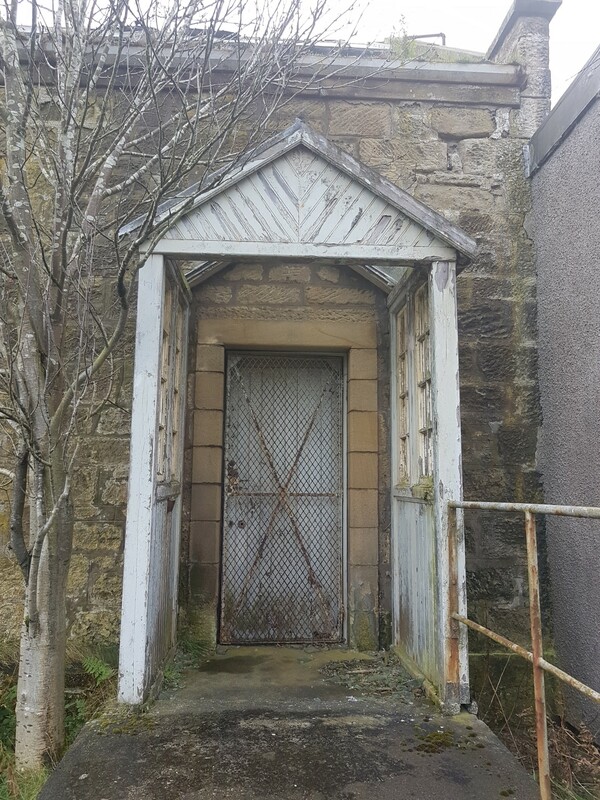 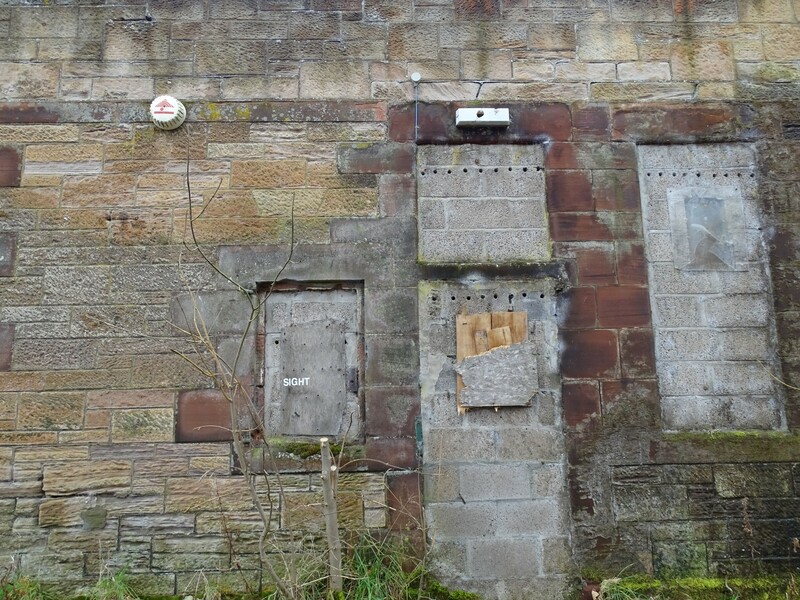 On 1 October 2015 Planning Permission for a residential and mixed use redevelopment of the former hospital site is being sought. 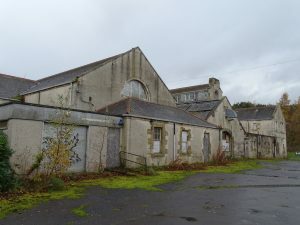 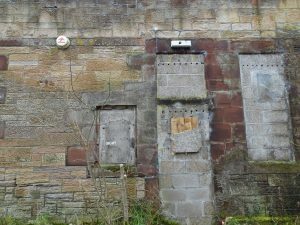 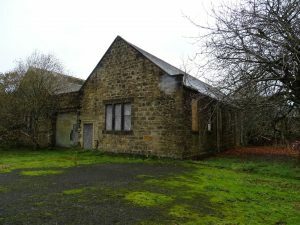 The application notes some of the listed buildings at the site may be proposed for full demolition in a subsequent application. 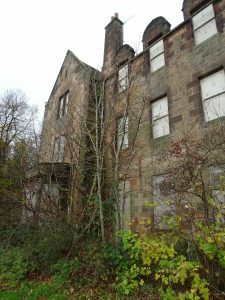 This may include villas 7,8,9 and 21, with other buildings potentially proposed for partial demolition.